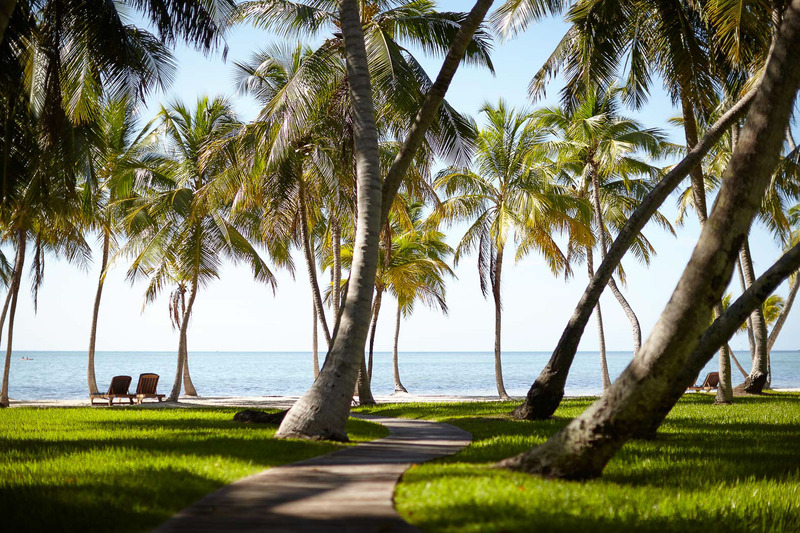 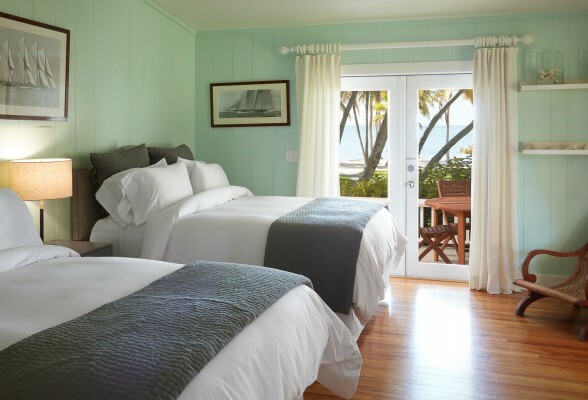 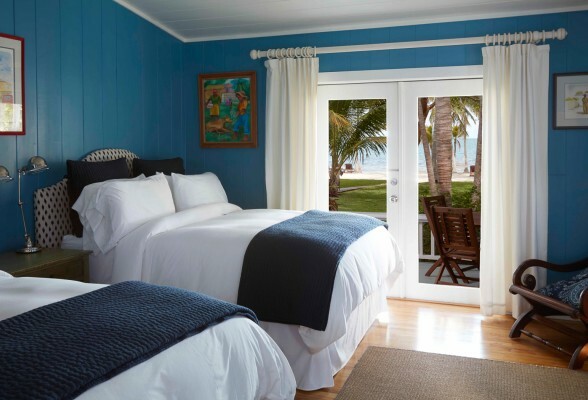 Our one bedroom beach villas offer an ideal escape for singles or couples traveling to our Islamorada resort in the Florida Keys. 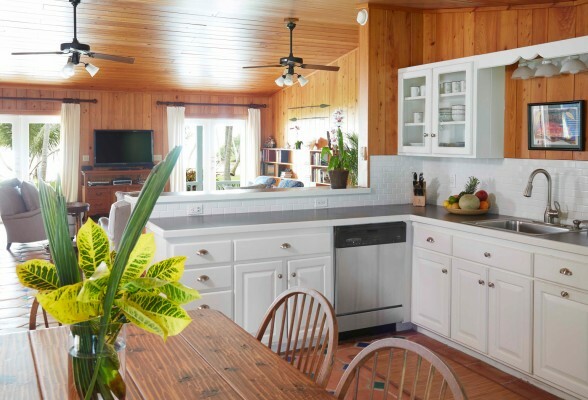 Each airy and open villa features a fully equipped kitchen, TV with Amazon Fire Stick, telephone, and in most cases, a washer and dryer. 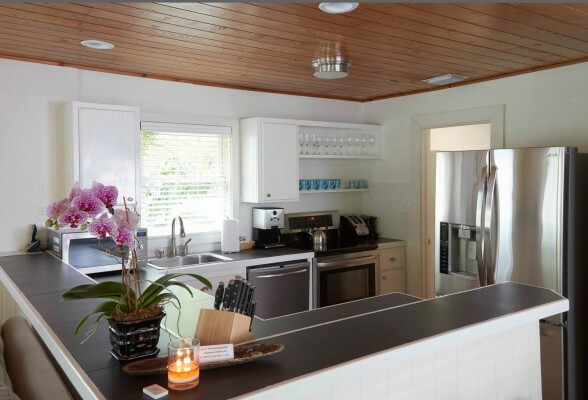 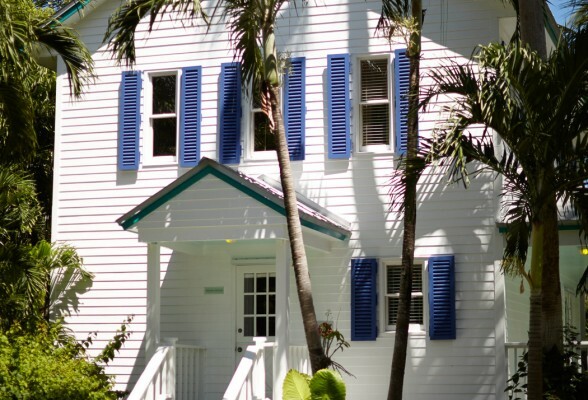 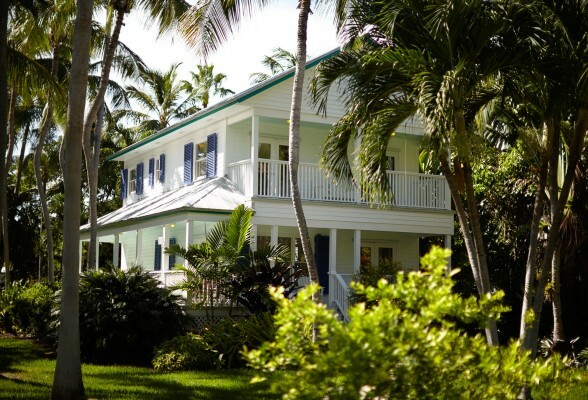 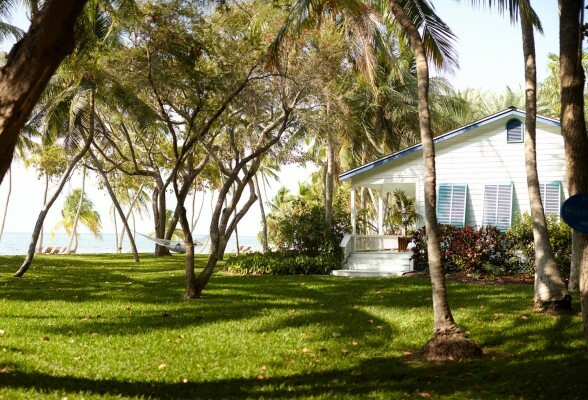 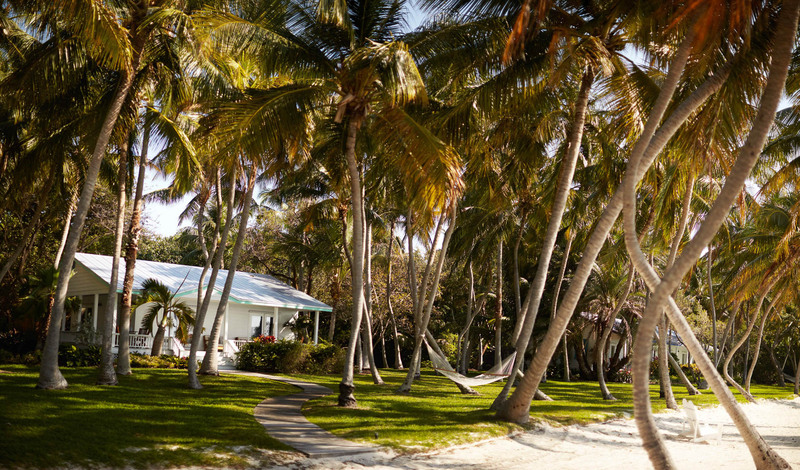 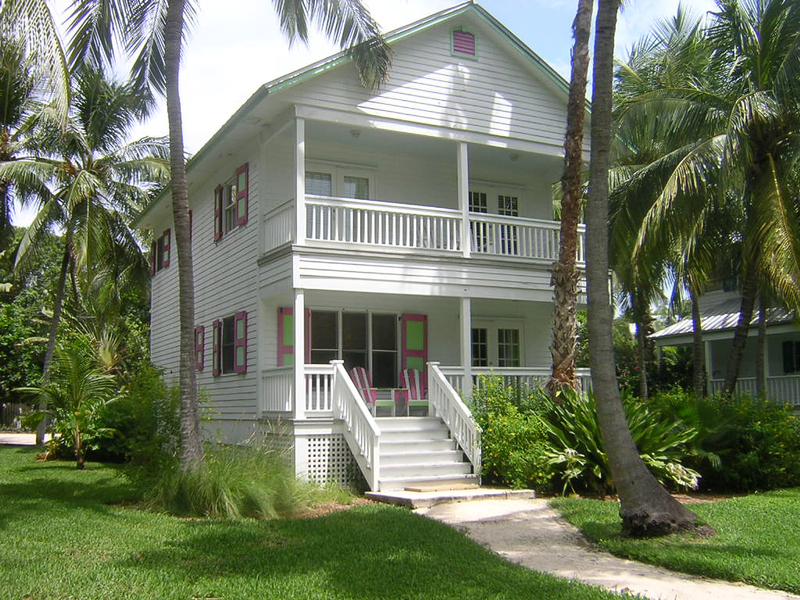 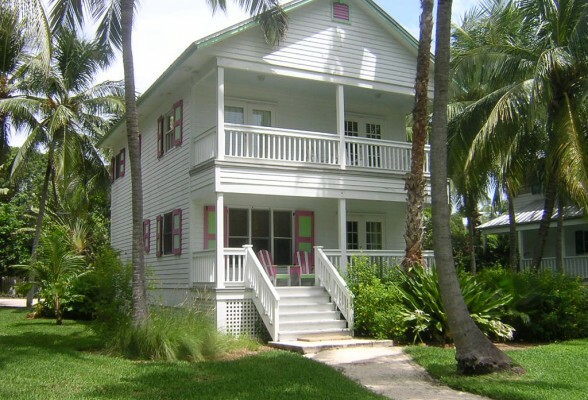 Ideal for couples or single travelers, this airy Islamorada villa and half duplex is a Moorings Village original. 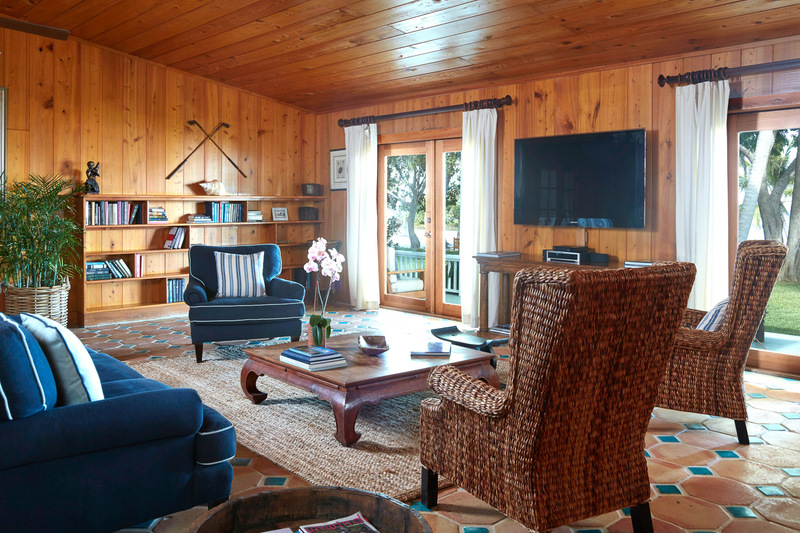 Located on the south end of the property, Lodge North boasts a lavish queen bed, cozy sitting area, efficiency kitchen, and shared veranda. 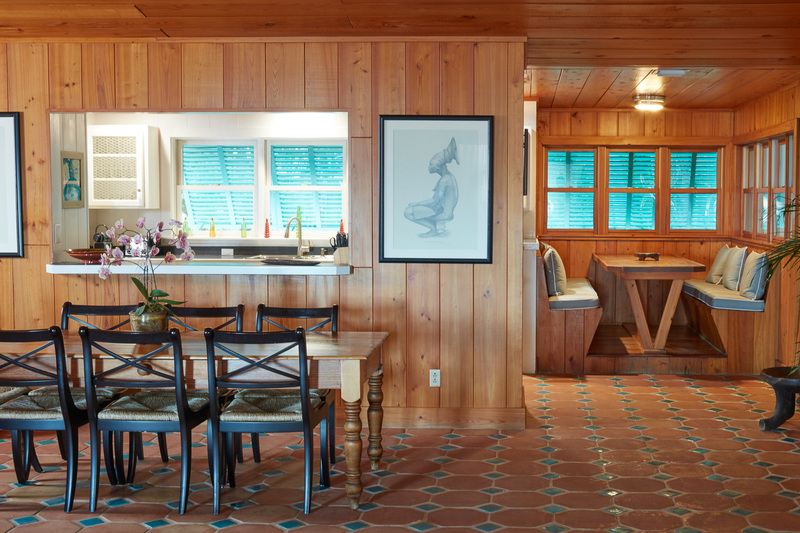 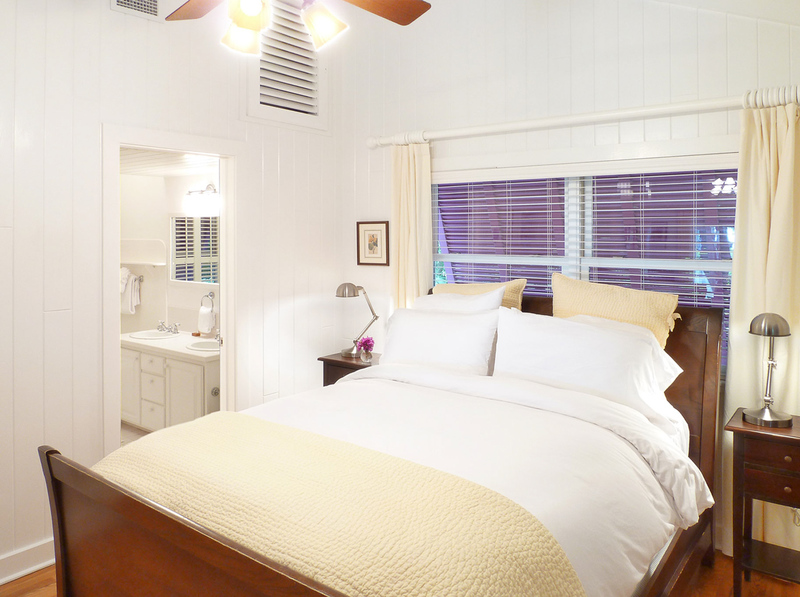 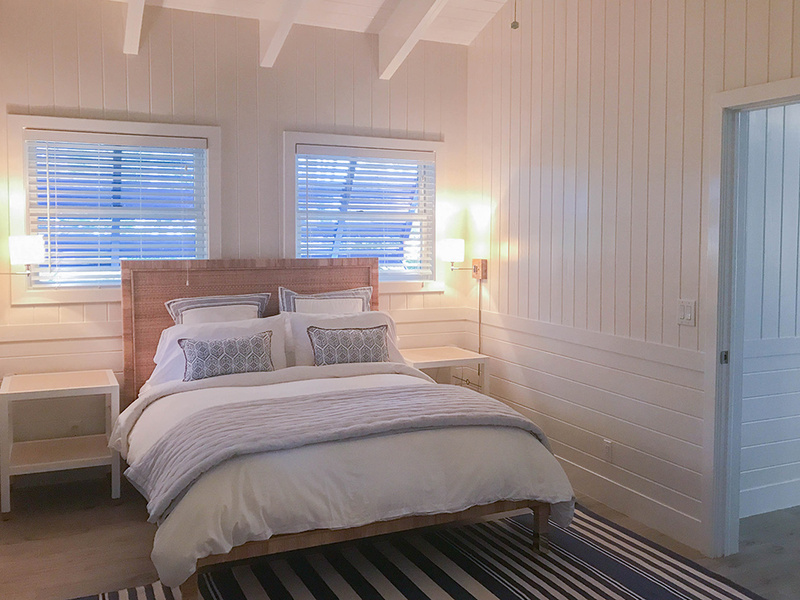 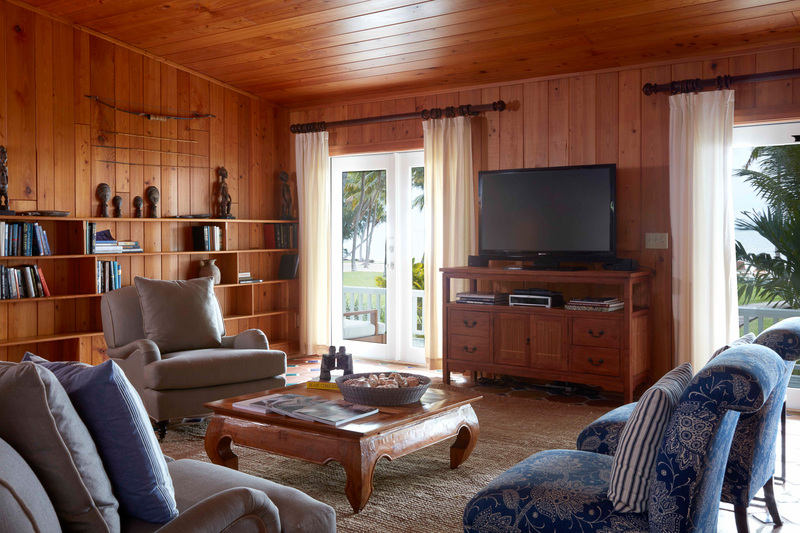 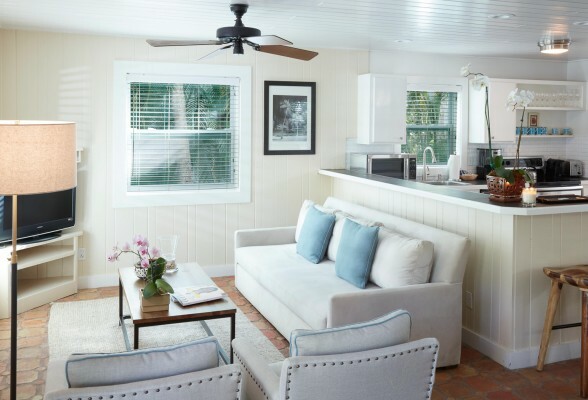 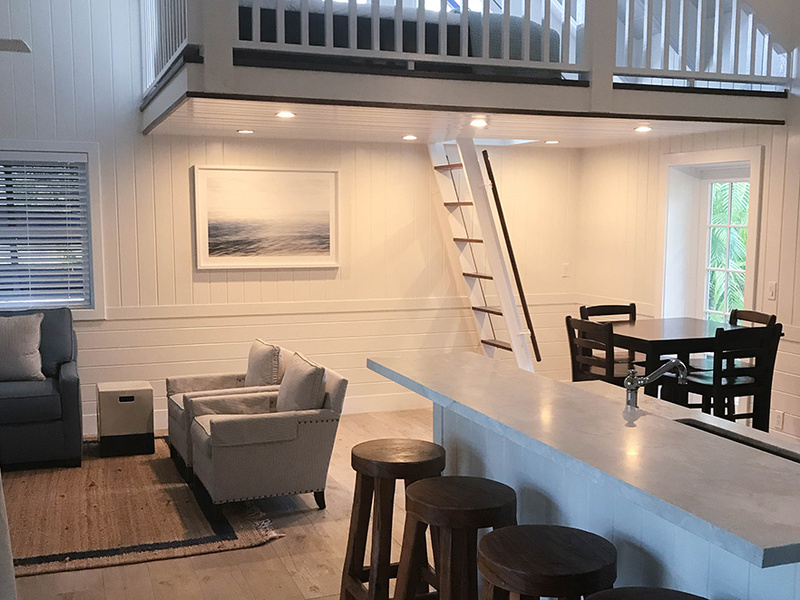 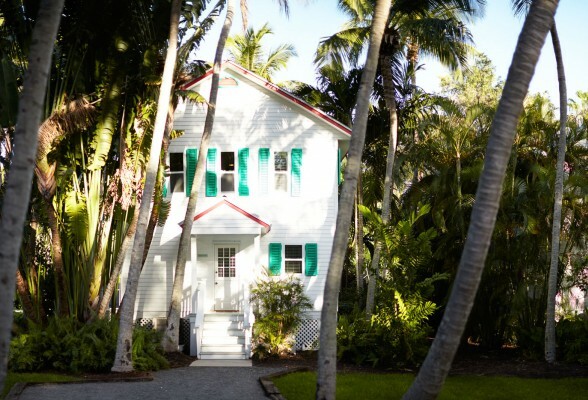 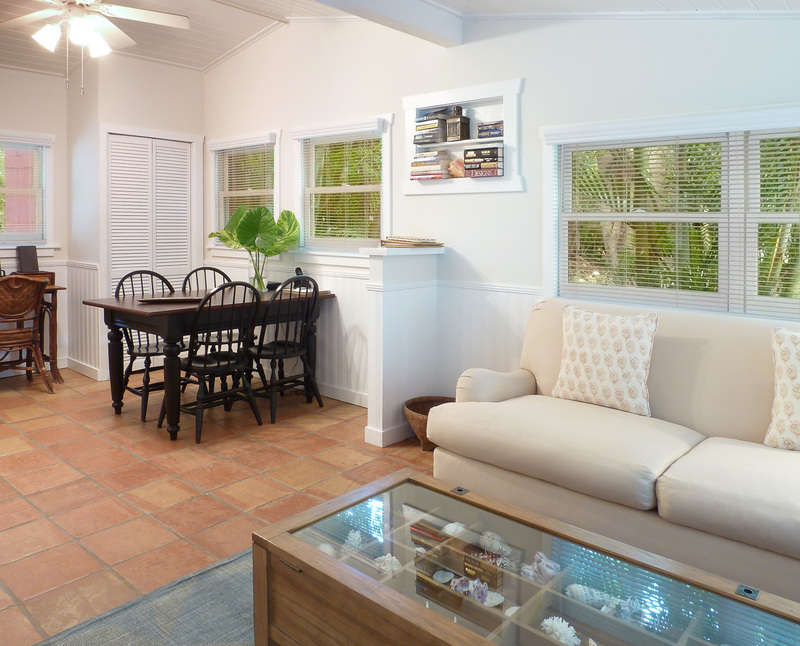 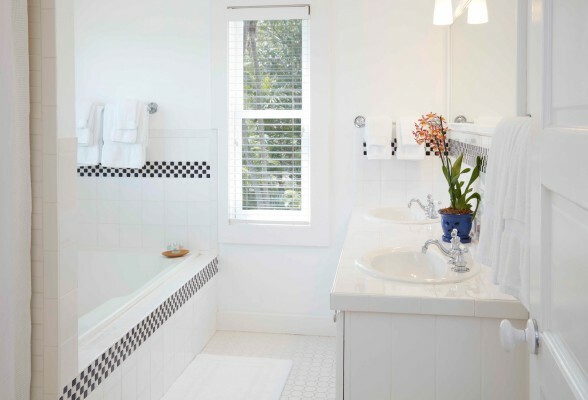 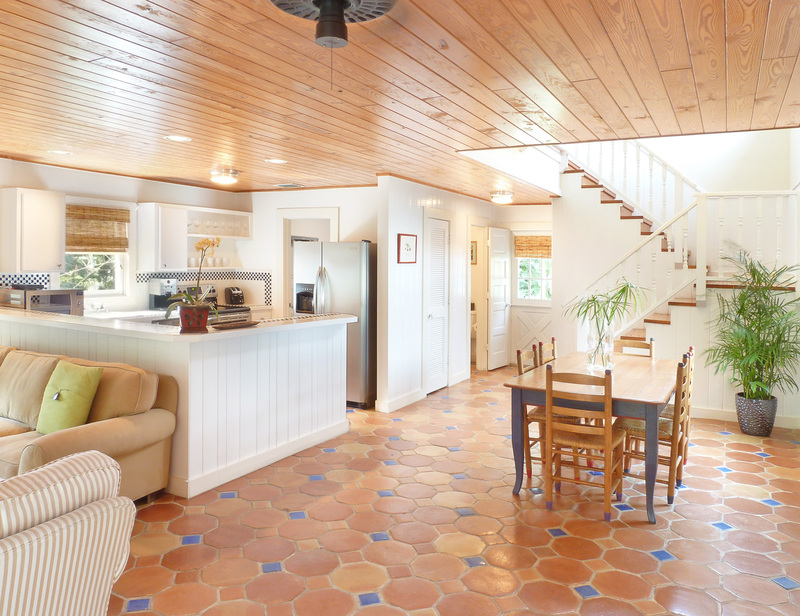 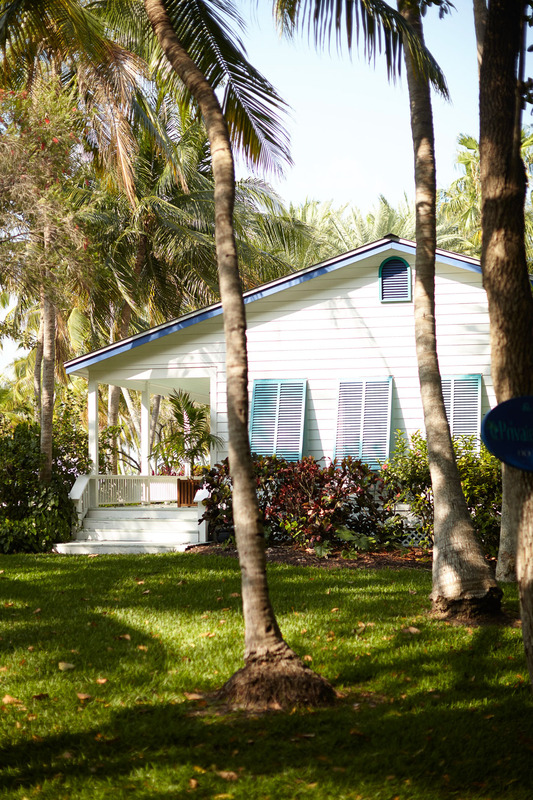 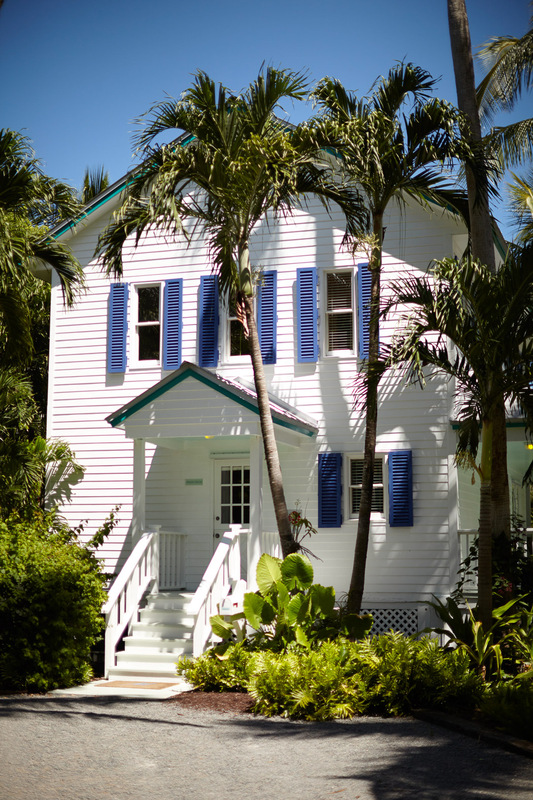 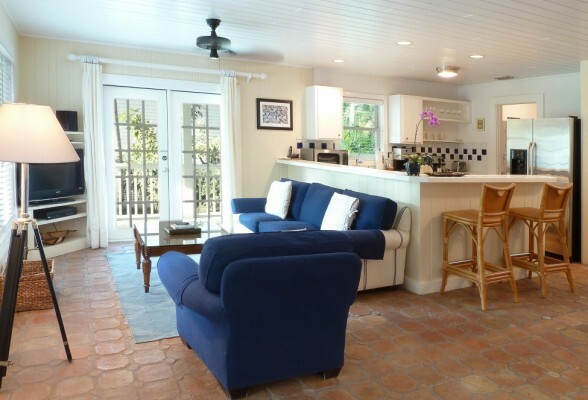 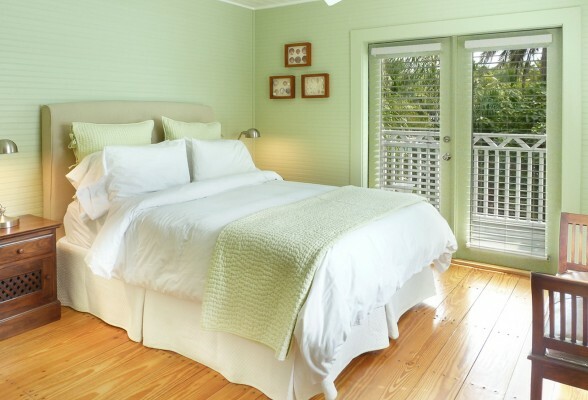 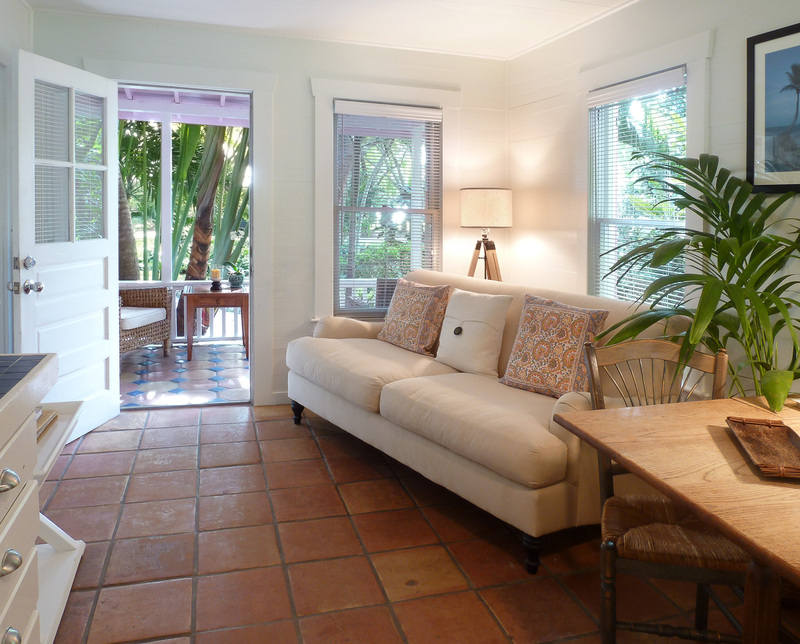 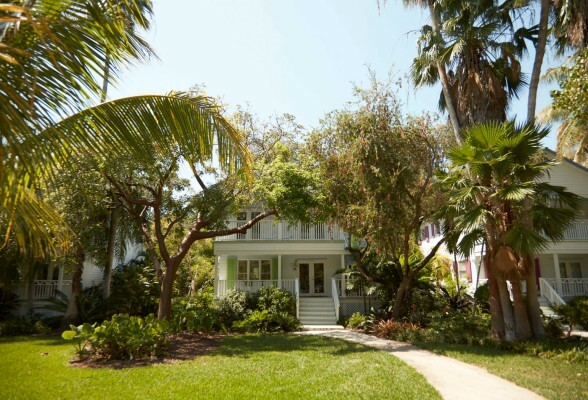 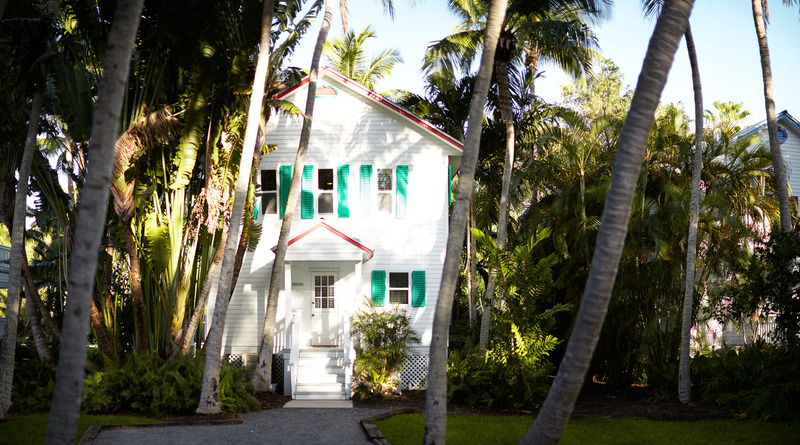 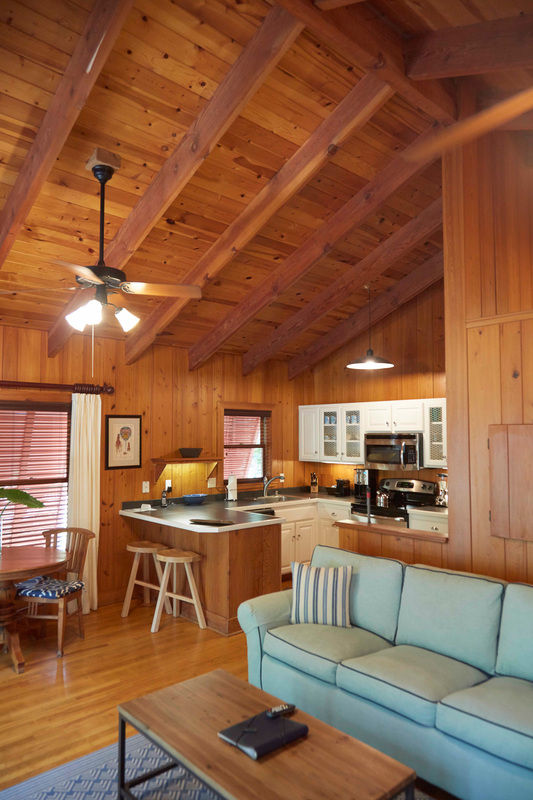 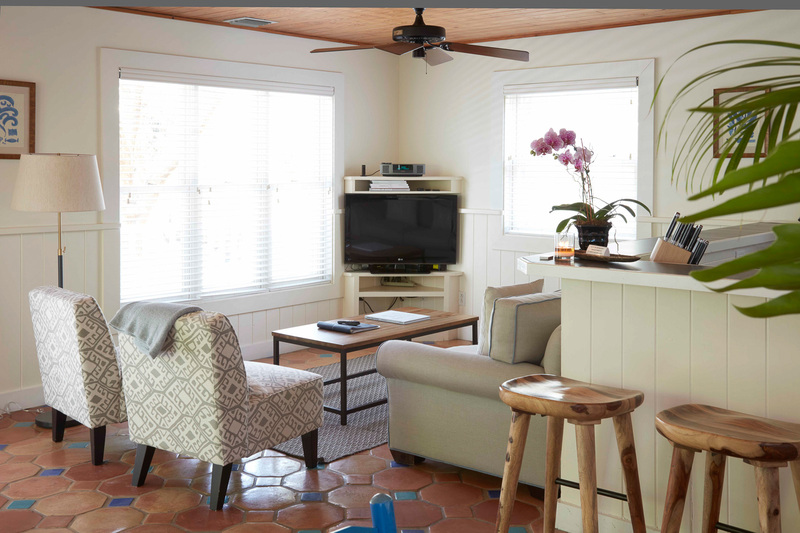 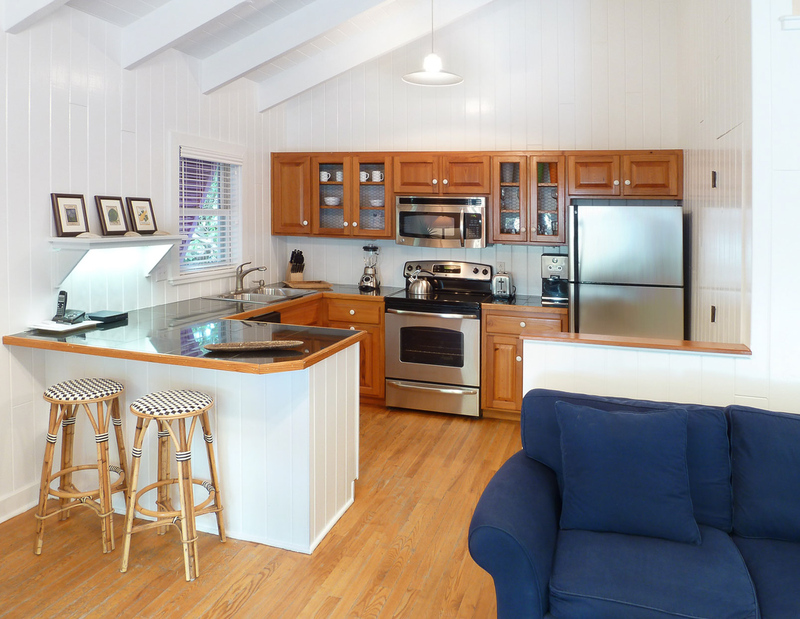 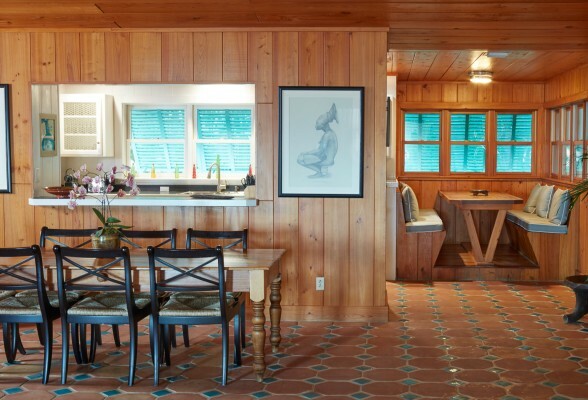 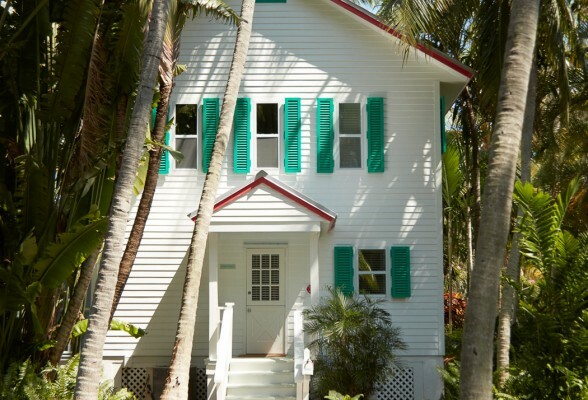 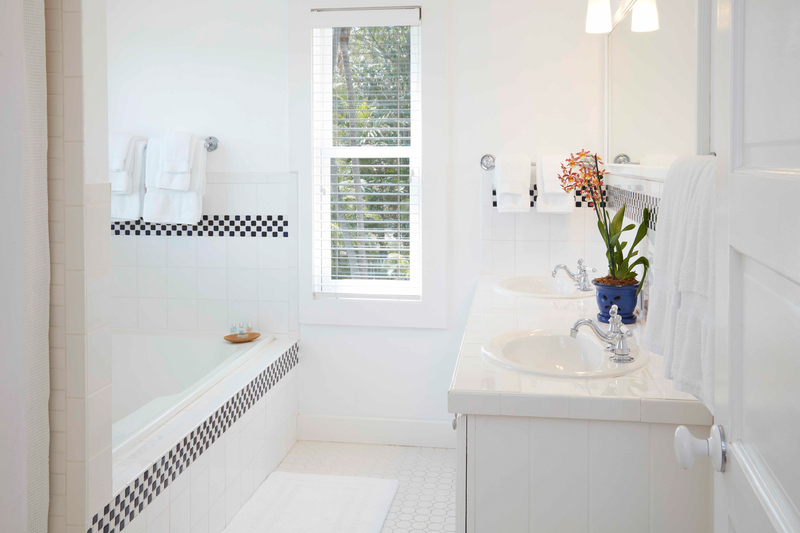 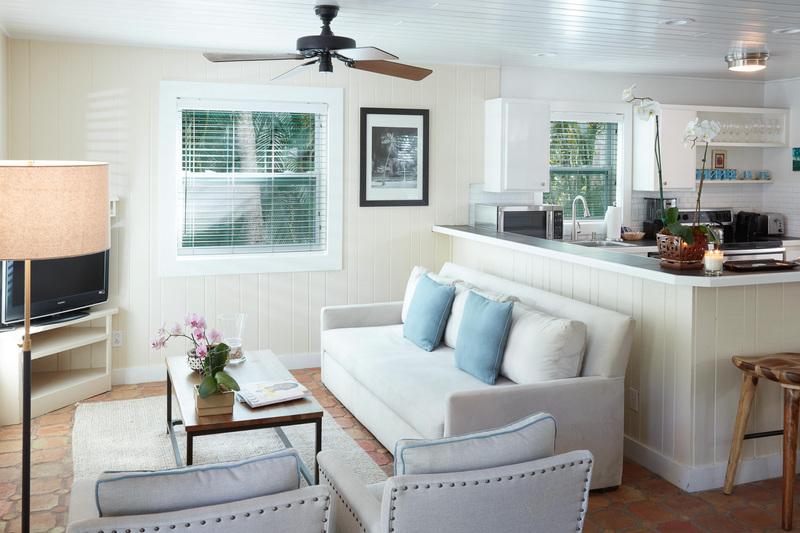 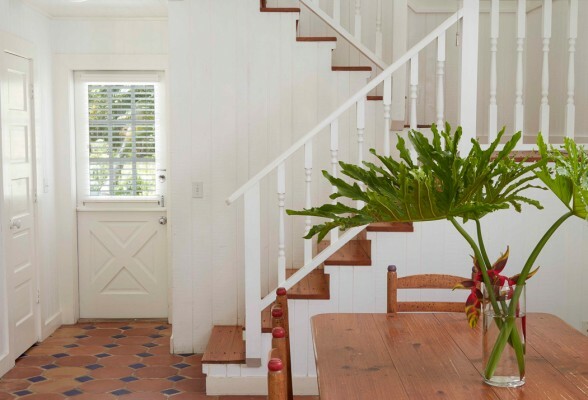 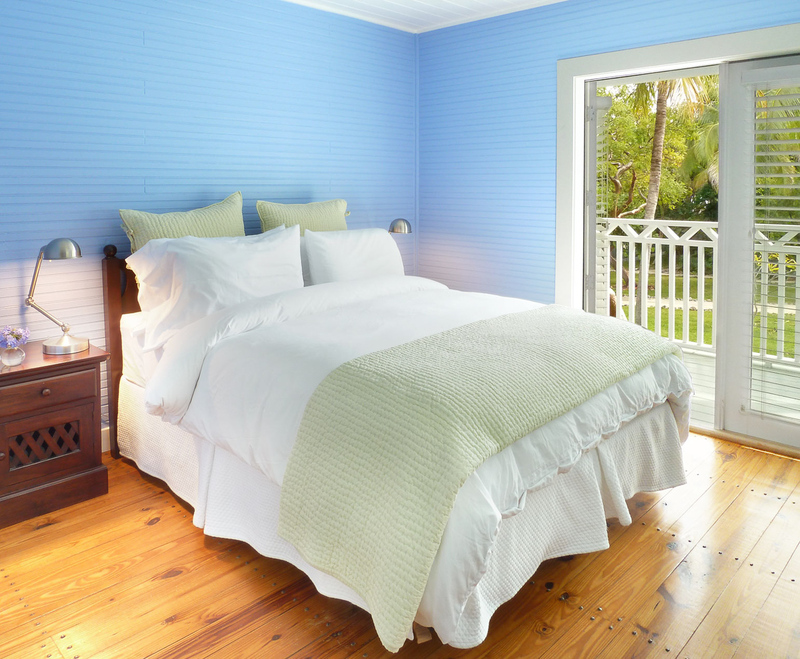 Located on the south side of the property, Lodge South is a bright and cozy half duplex, ideal for couples or single travelers visiting the Florida Keys. 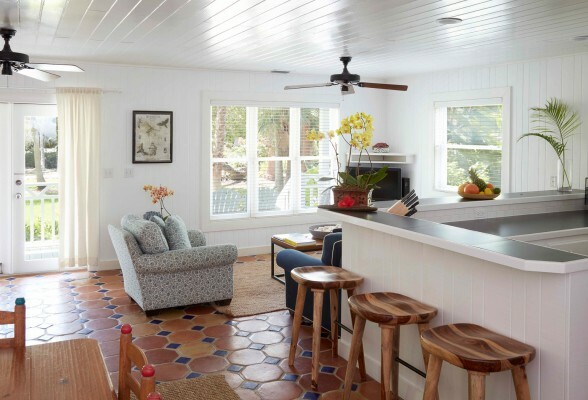 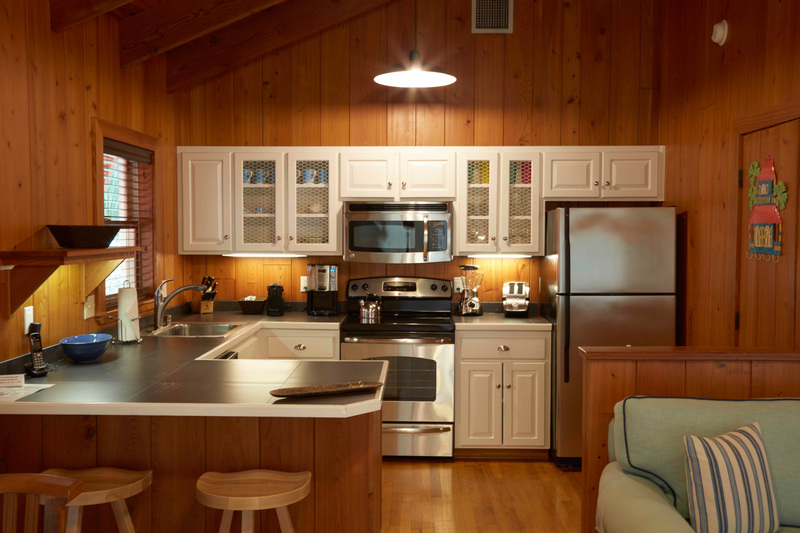 The efficiency kitchen opens up to a cozy sitting area and a shared veranda, perfect for taking in the tropical island atmosphere. 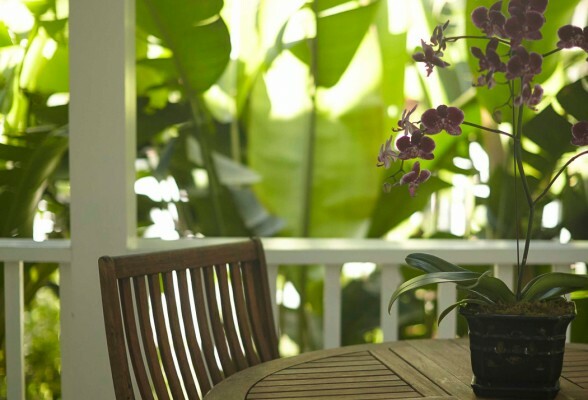 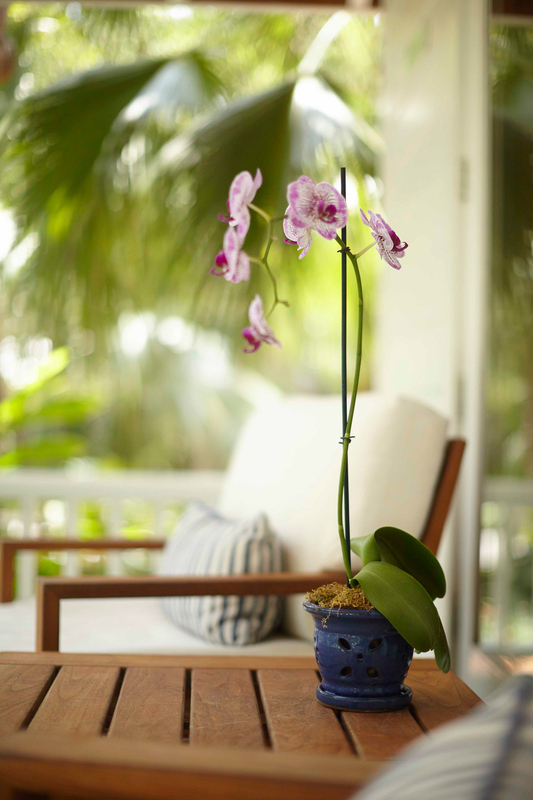 Steps from the white sand and calm sea, the Orchid Villa provides a perfect sanctuary for couples and small families. 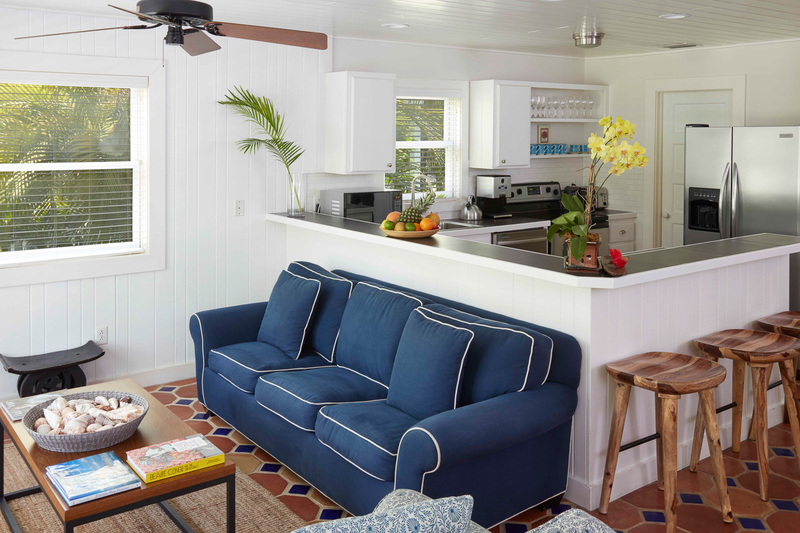 The welcoming layout features a spacious living area with sleeper sofa and TV with Amazon Fire Stick, fully equipped kitchen, large bath with soaking tub, and a plush queen-size bed. 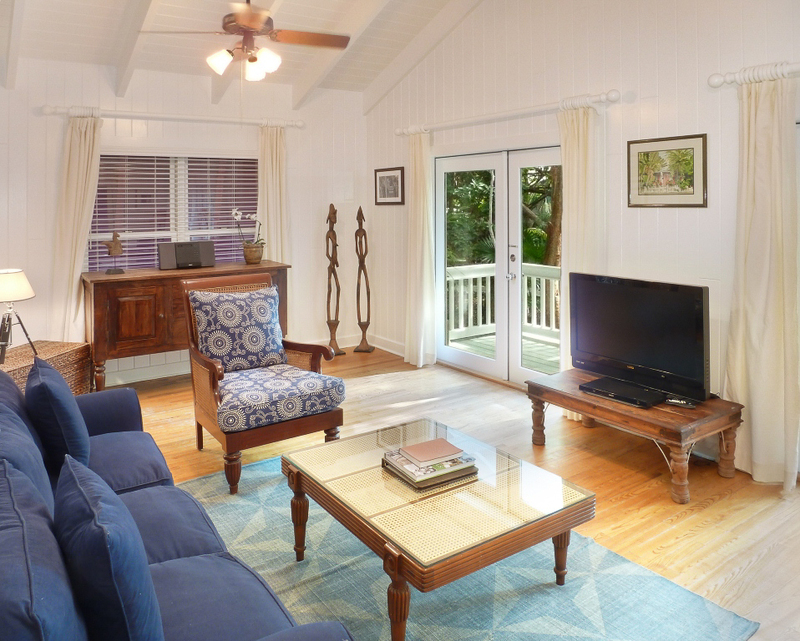 Sifca Villa is the perfect sanctuary for couples or small families looking to get away. 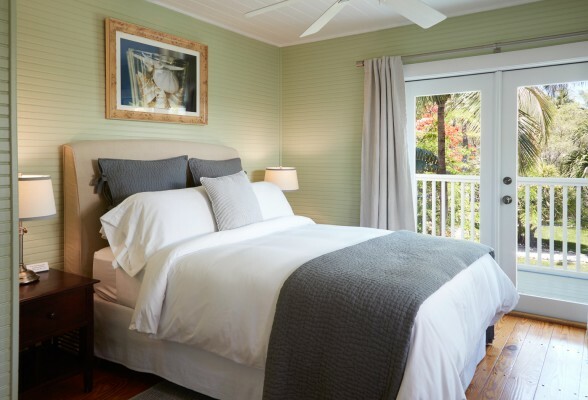 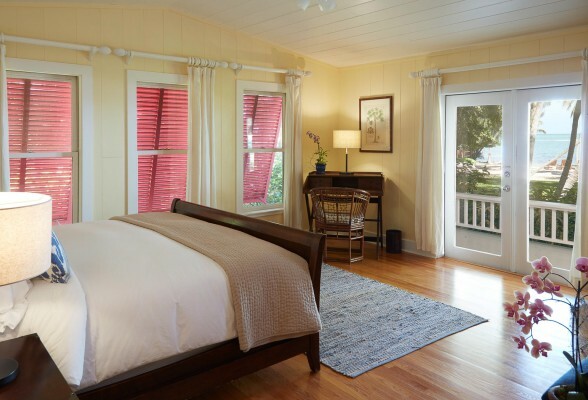 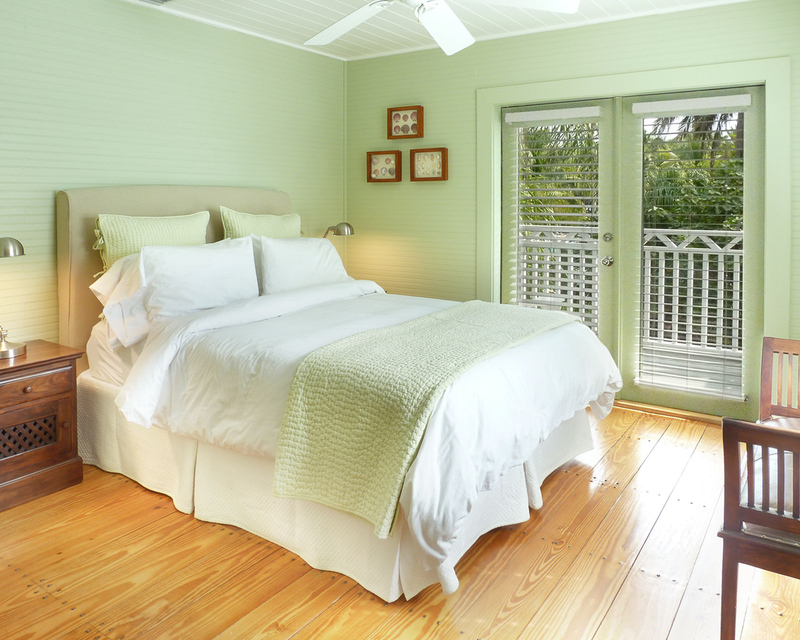 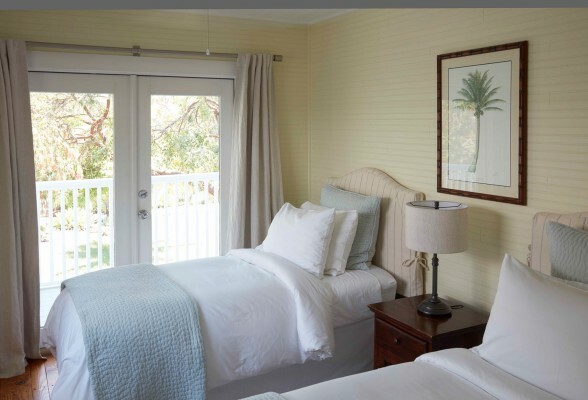 The fully furnished plantation-style porch allows guests to unwind and the welcoming layout features a spacious living area with a sleeper sofa, well-equipped kitchen, large soaking tub, and queen-size bed in the master bedroom. 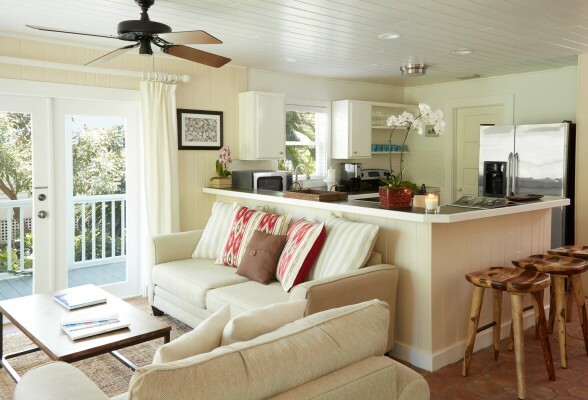 Treehouse Villa’s unique layout encourages couples and small families to enjoy its indoor and outdoor spaces, including a sleeping loft, front porch, and back patio. Guests are greeted by Ipe wood flooring, a spacious living area with sleeper sofa, fully equipped kitchen, and a four poster queen-size bed. 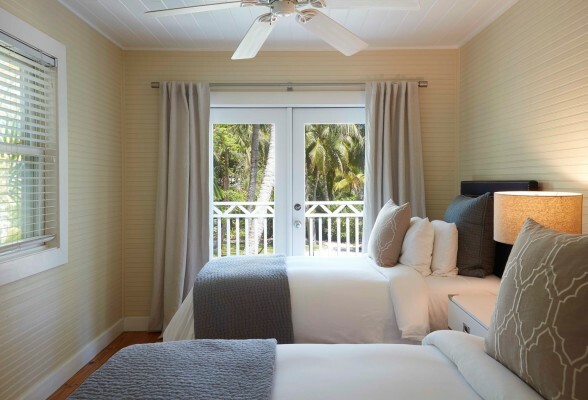 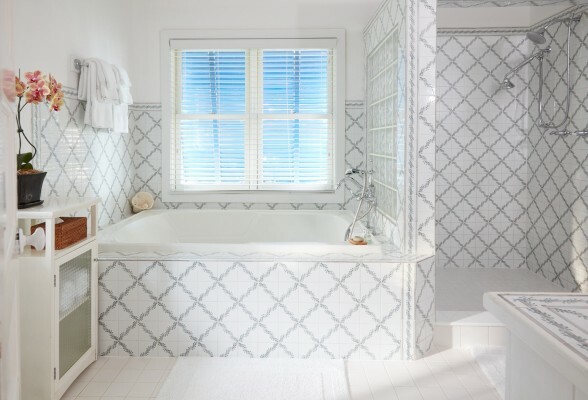 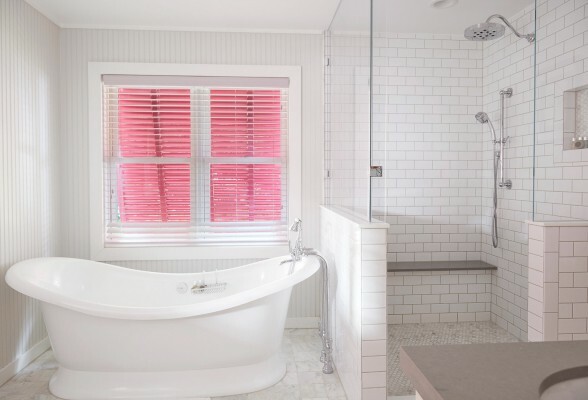 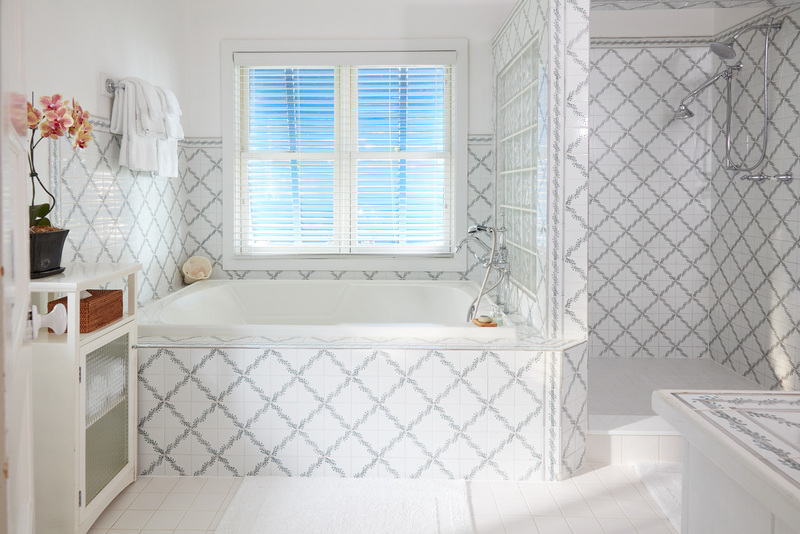 The name alone might say it all, but the romantic Honeymoon Villa offers an array of exclusive amenities ideal for couples ready to relax and reconnect. 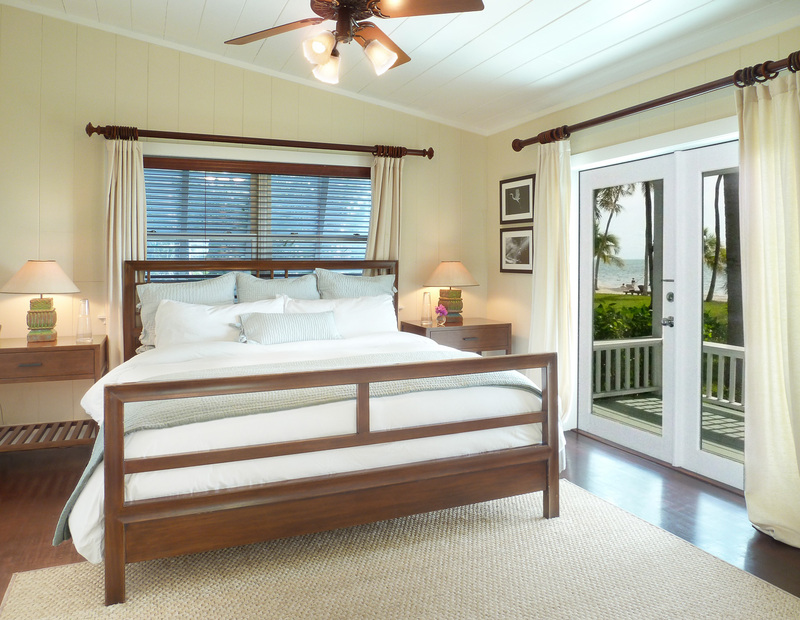 Floor-to-ceiling French doors give way to beautiful natural light and the fully furnished wrap-around deck is just steps from the sandy beach and turquoise sea. 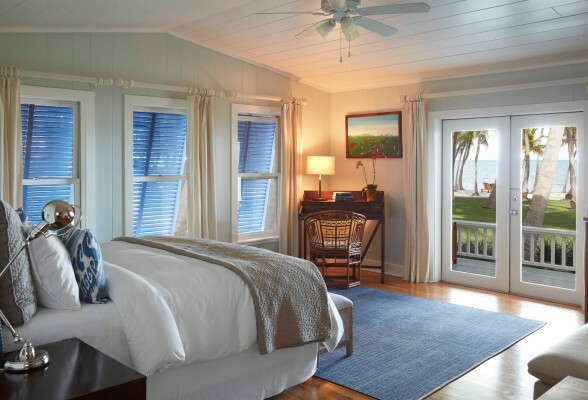 The spacious and inviting Maroni Villa features a well-equipped kitchen, large living area, and a master bedroom opening to a deck where guests can cool off in the crisp ocean breeze. 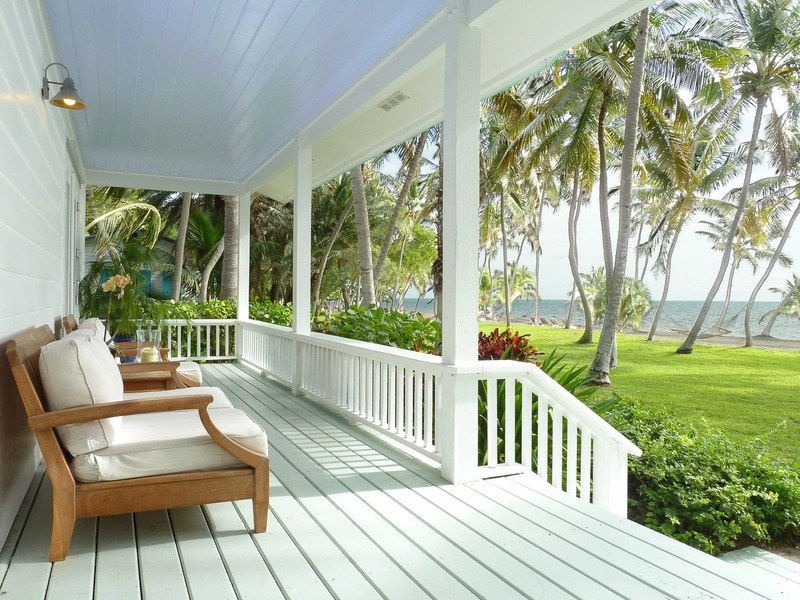 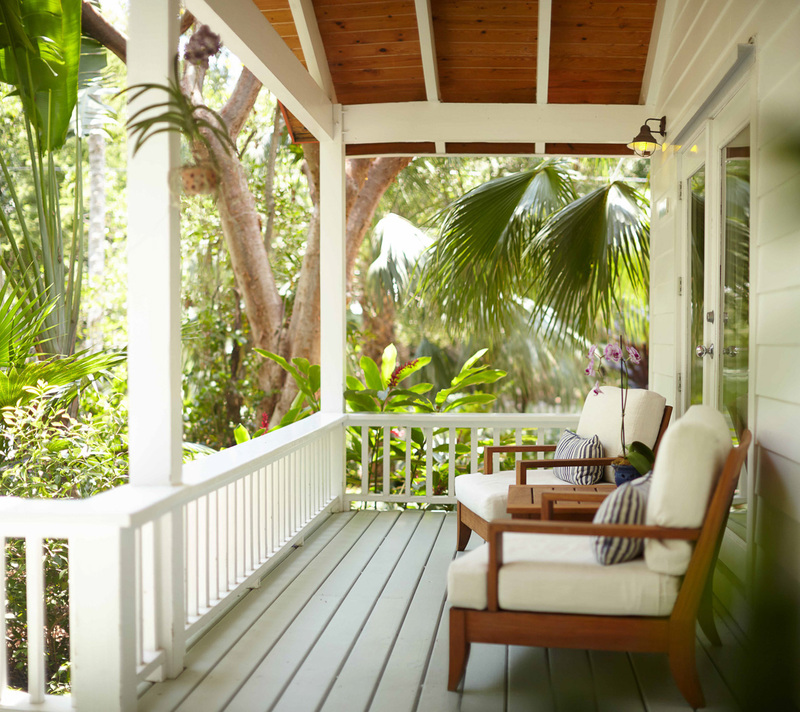 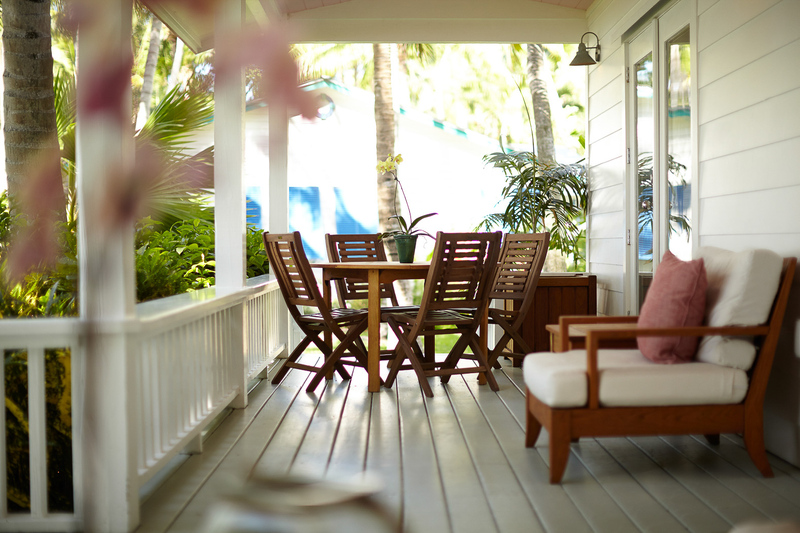 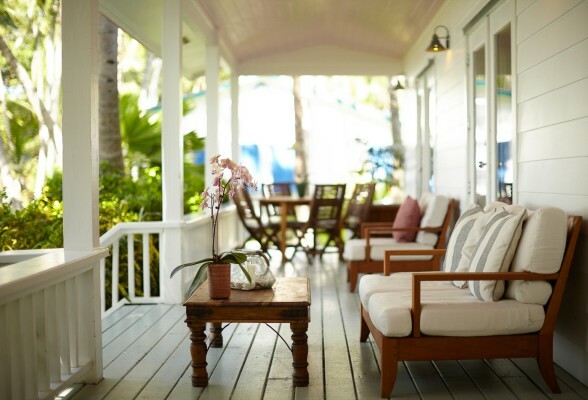 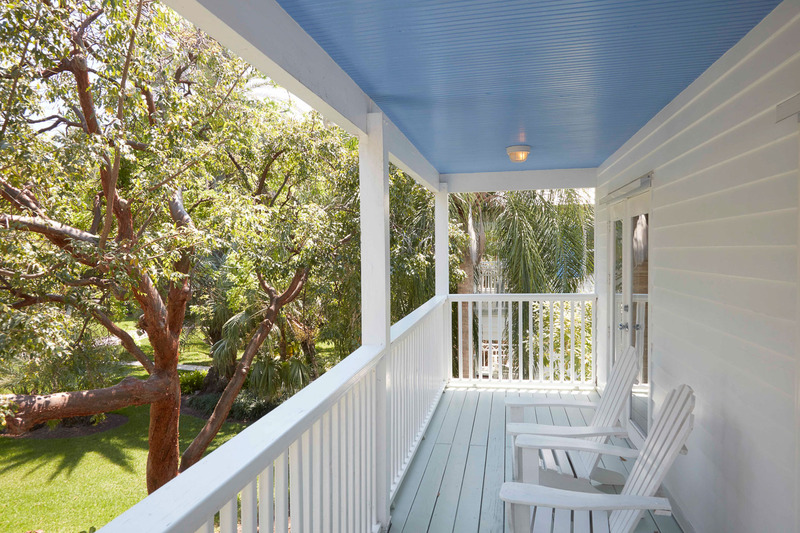 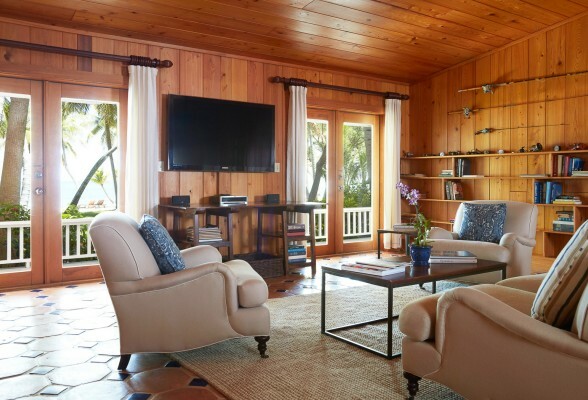 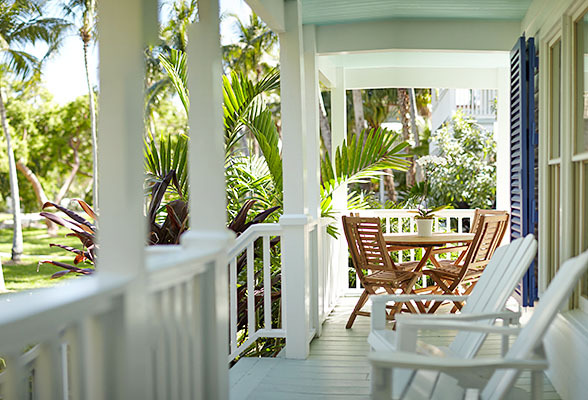 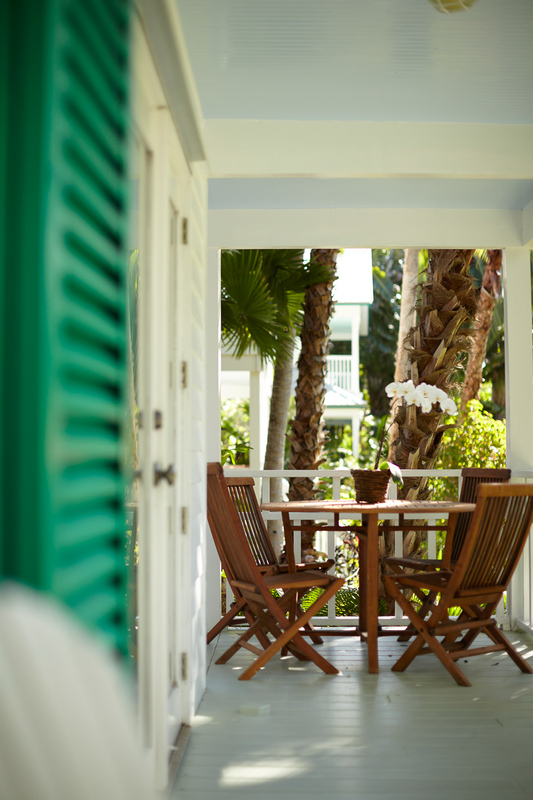 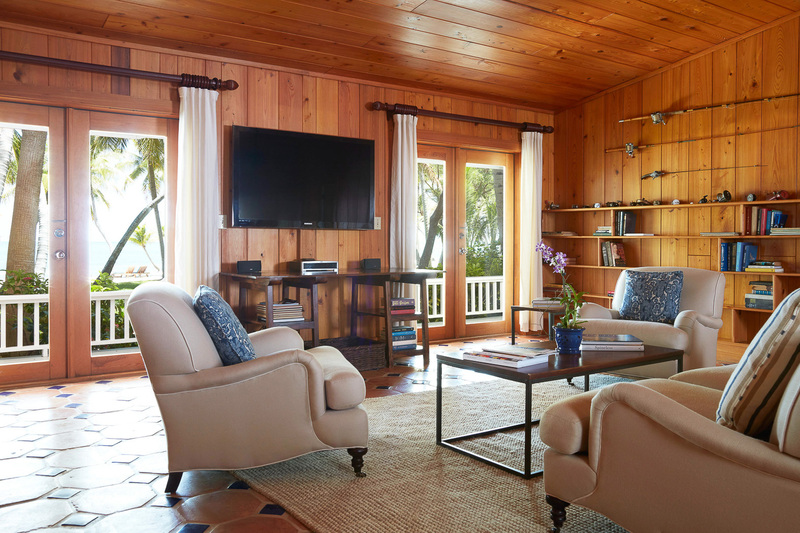 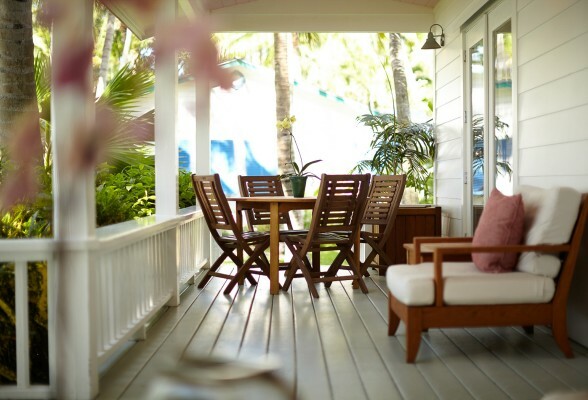 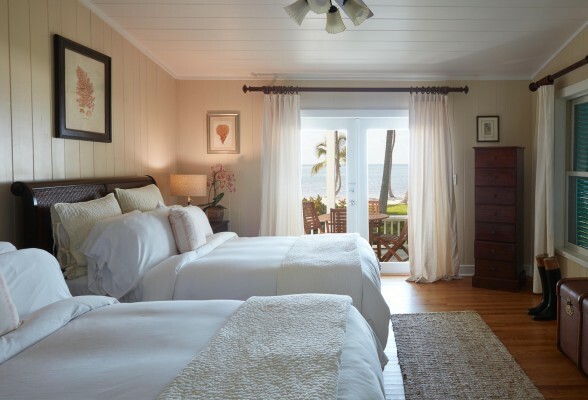 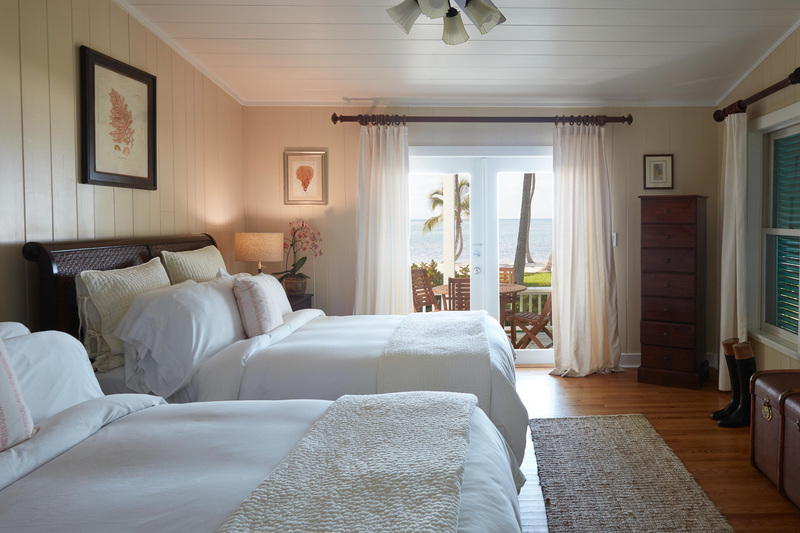 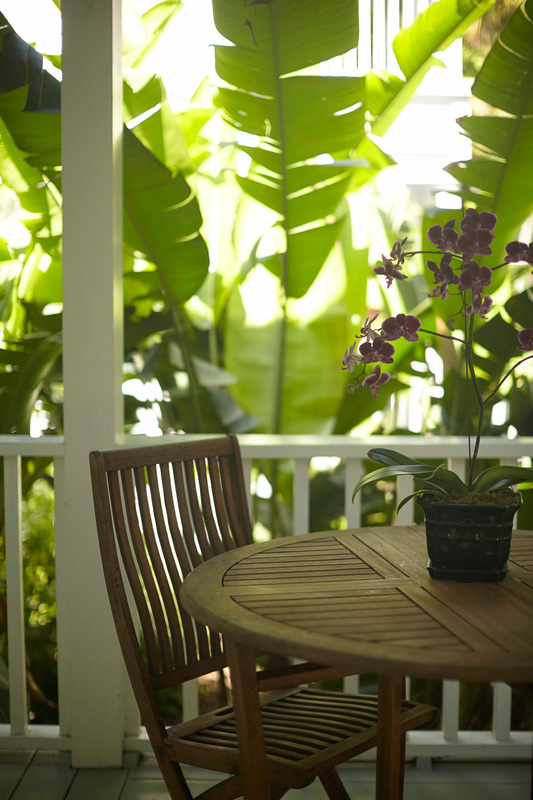 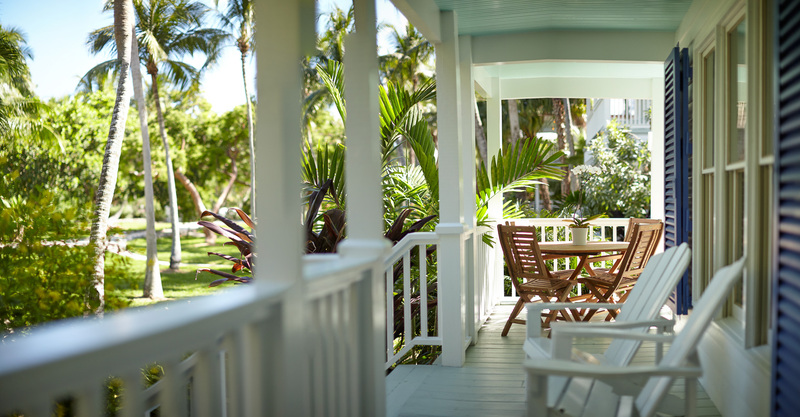 The fully furnished porch provides the perfect setting for couples to relax and take in breathtaking ocean views. 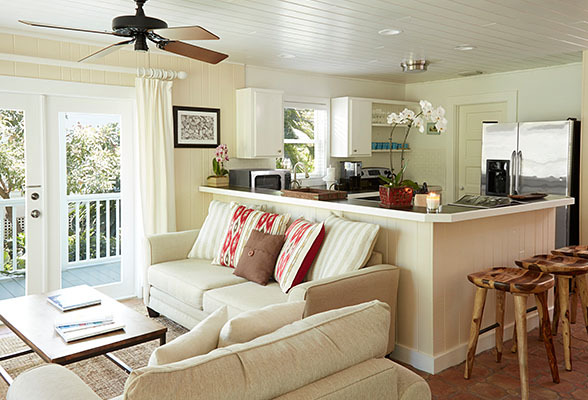 Albury Villa’s lofty layout boasts a spacious living room with sleeper sofa, dining area, and fully equipped kitchen with stainless steel appliances. 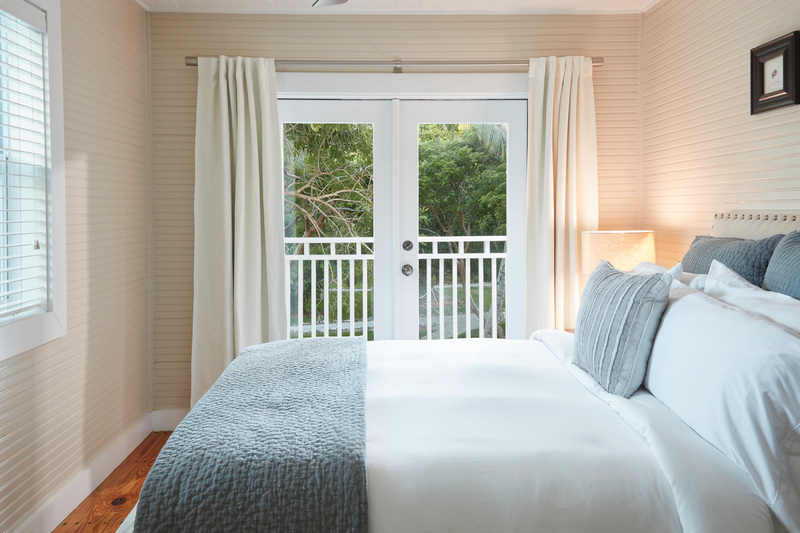 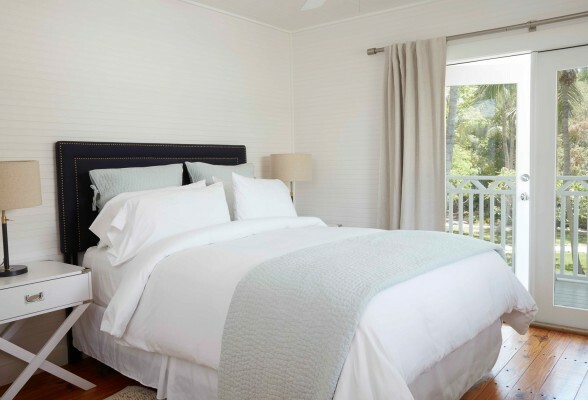 The bedrooms offer fine linens and pillow top mattresses, as well as access to the second floor balcony with spectacular views of the resort. 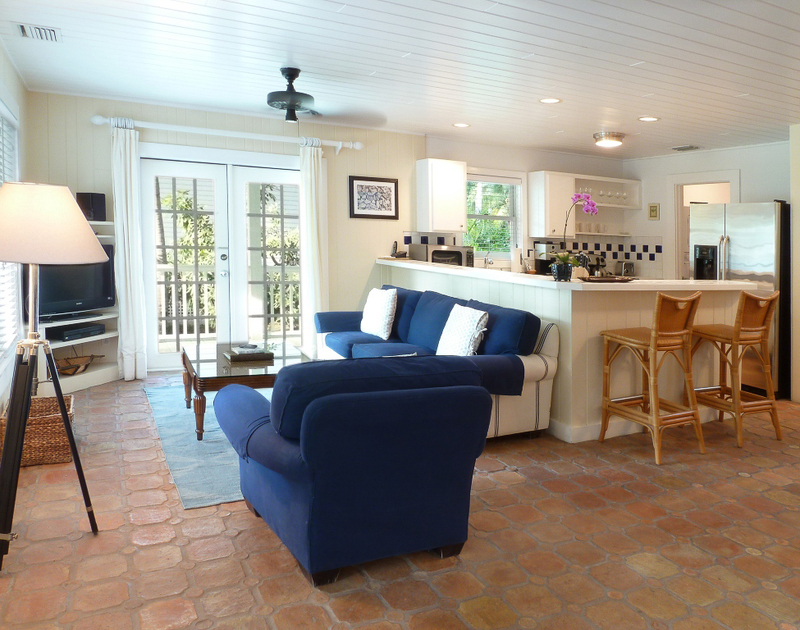 Overlooking the resort’s tennis court and pool, this two-story island home features two bedrooms and one and half baths. Cothron Villa’s open layout features a spacious living room with sleeper sofa, a dining area, and a fully equipped kitchen with stainless steel appliances. 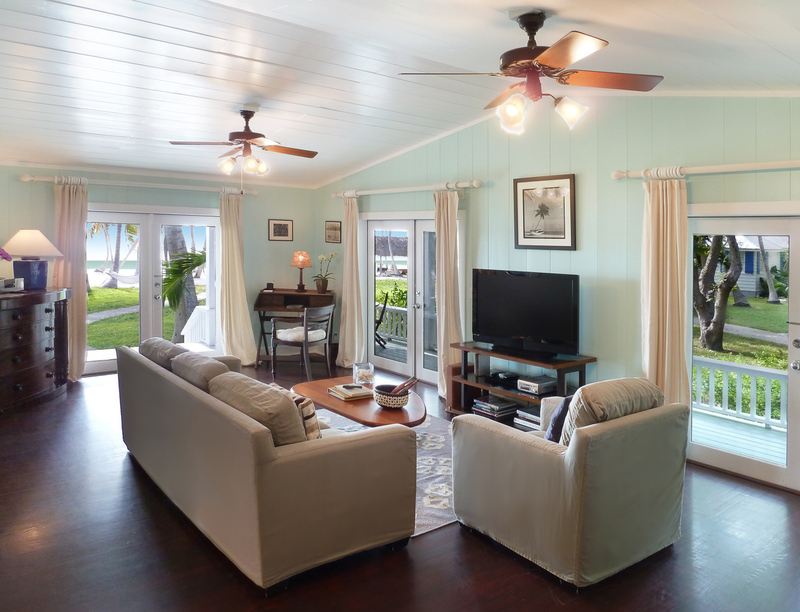 Parker Villa is a two-story island home offering an open layout, spacious living room with sleeper sofa, dining area, and a well-equipped kitchen with stainless steel appliances. 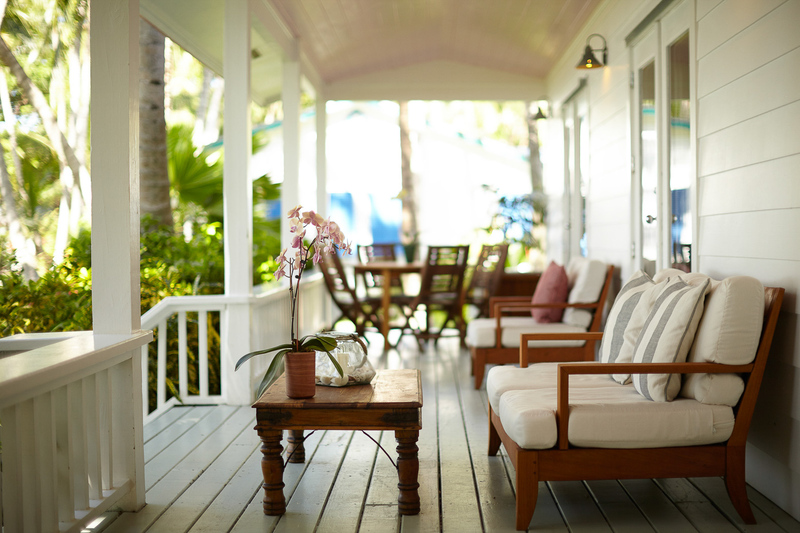 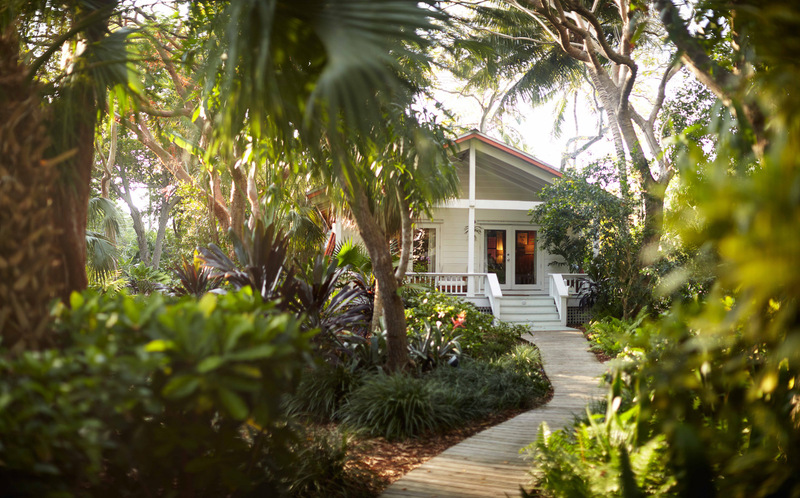 Overlooking the pool area, the fully furnished plantation style porch allows for guests to unwind and escape from the stresses of everyday life. 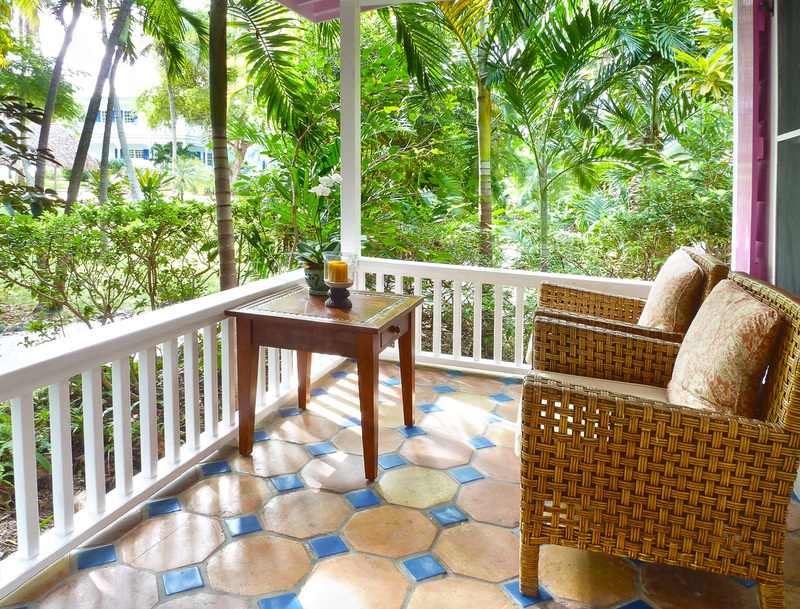 Overlooking the resort’s tropical flora and fauna, Eyster Villa’s plantation style porch allows for guests to unwind, while an open two-story layout features a spacious living room with sleeper sofa, dining area, and kitchen. 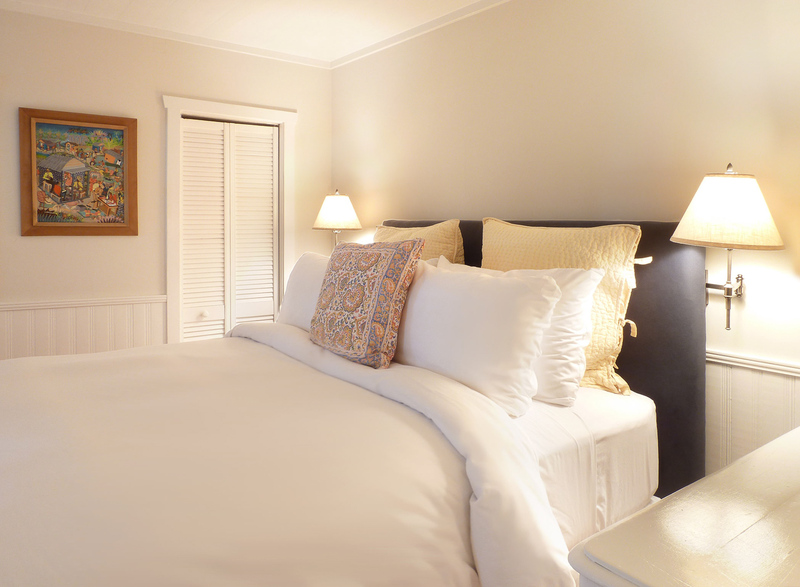 Both bedrooms offer queen size beds, fine linens and access to the second floor balcony. 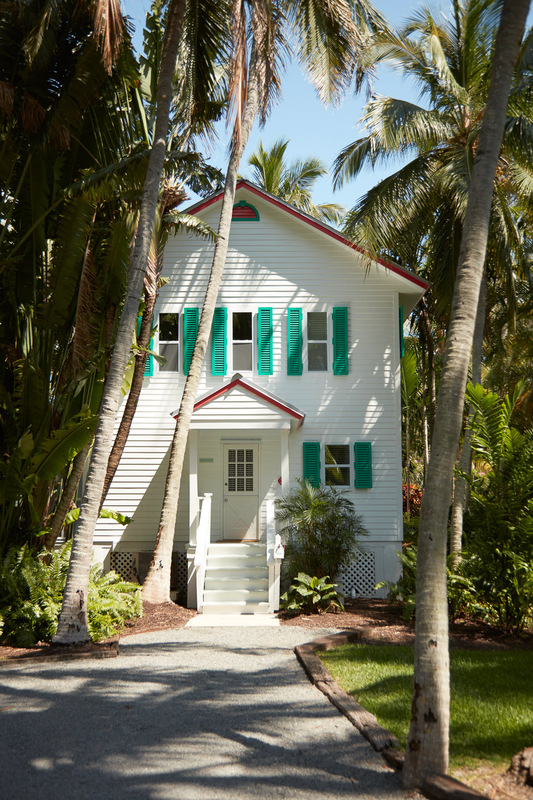 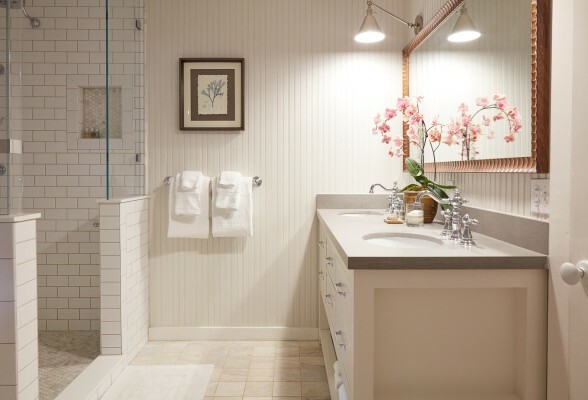 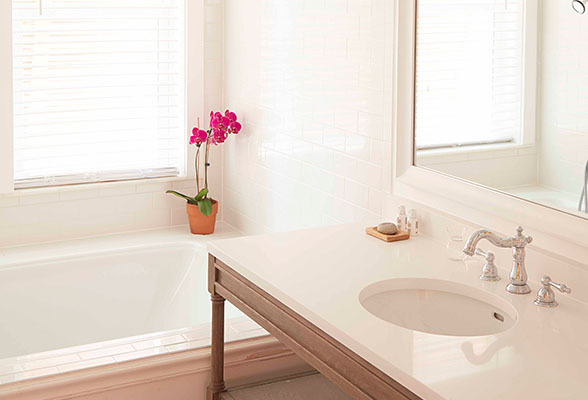 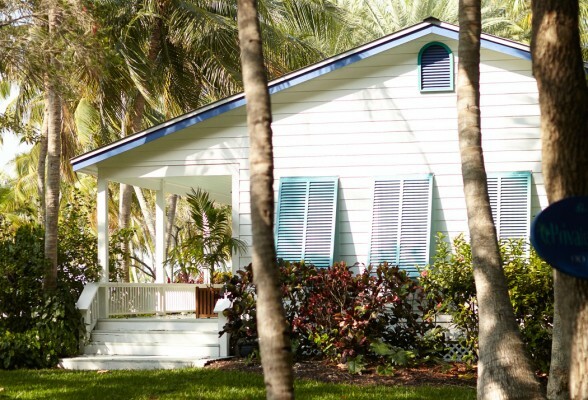 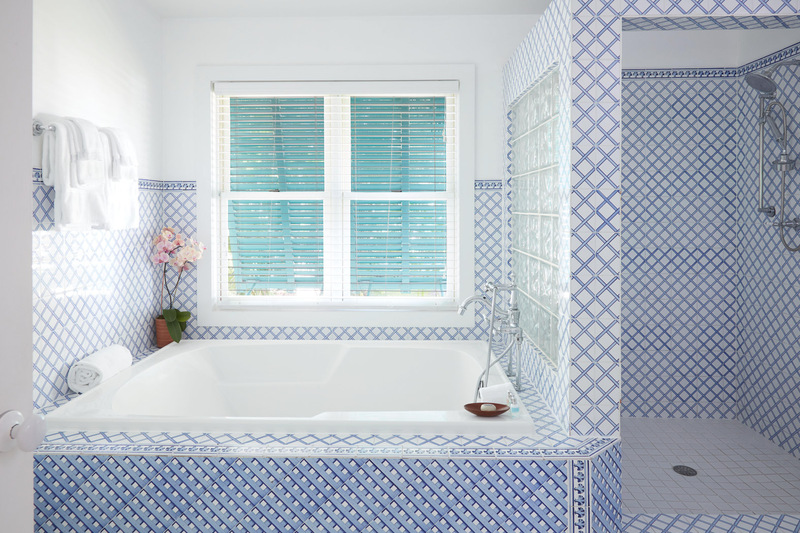 Pinder Villa’s Florida Keys-style setup offers two bedrooms and one and a half baths. 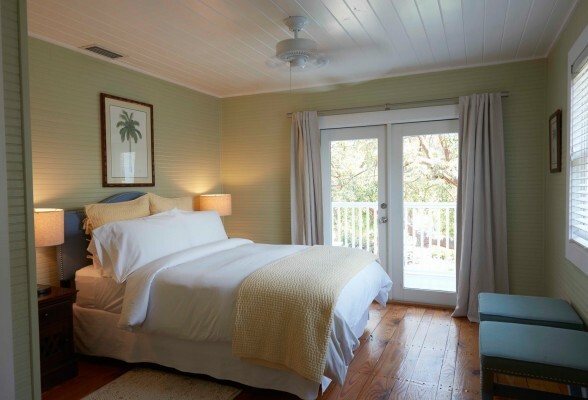 The plantation style porch allows for guests to relax, while each upstairs bedroom opens up to the second floor balcony. 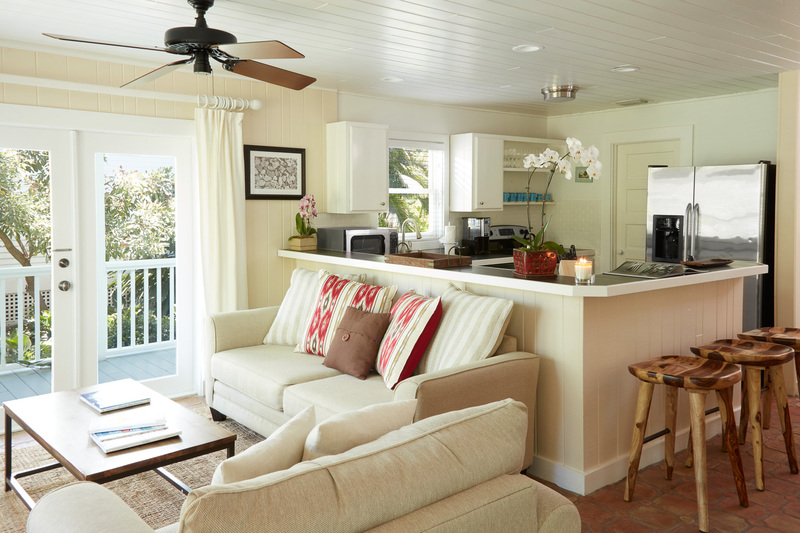 The spacious two-story layout features a large living room with sleeper sofa, dining area, and fully equipped kitchen. 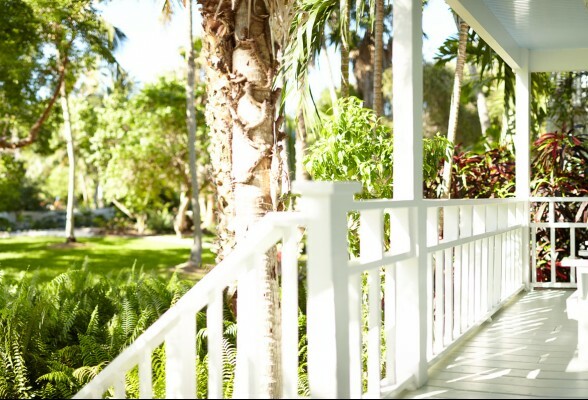 Conveniently located near the resort’s pristine lap pool and tennis court, Waca Villa boasts a large wrap-around porch that welcomes guests to relax after a day of Florida Keys adventure, while an airy two-story layout provides a spacious living room with sleeper sofa, and a dining area with fully equipped kitchen. 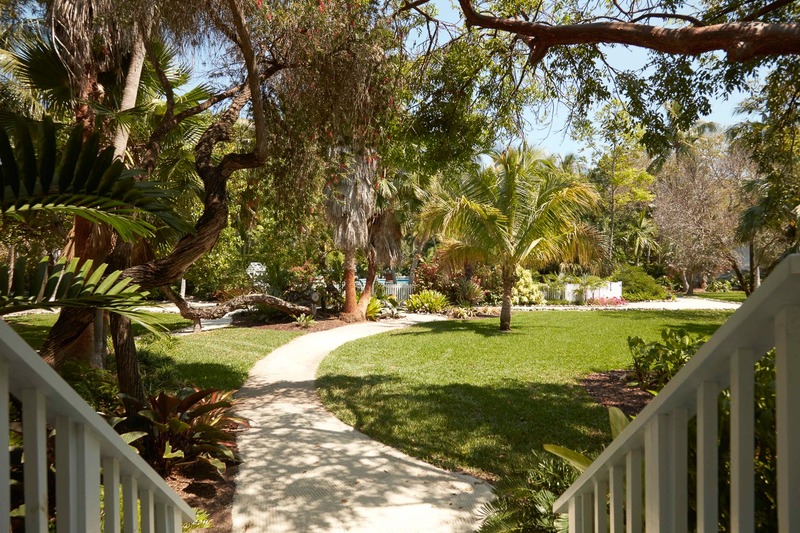 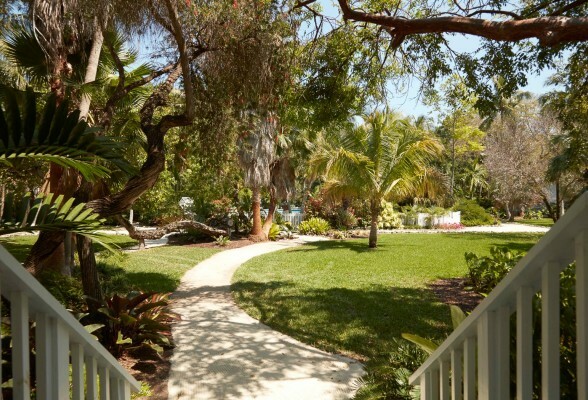 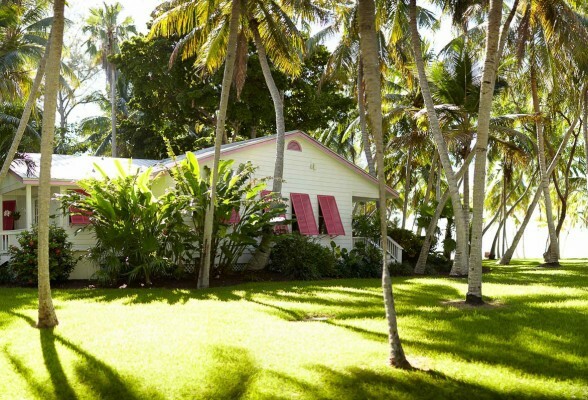 Russell Villa is surrounded by lush, tropical landscaping, just steps from the pool and tennis court. 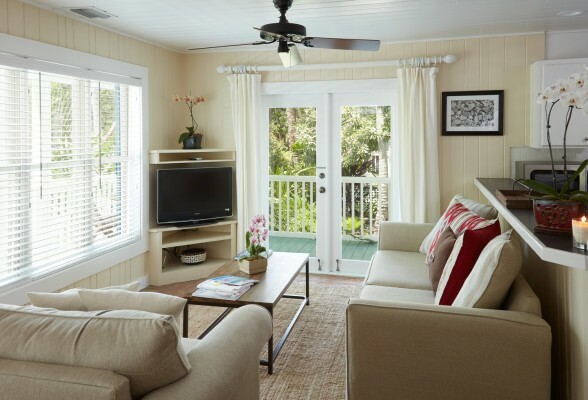 The large wrap-around porch welcomes guests to relax after a day of Florida Keys adventure, and the two-story open floor plan boasts a spacious living room with sleeper sofa, and a fully-equipped kitchen with dining space. 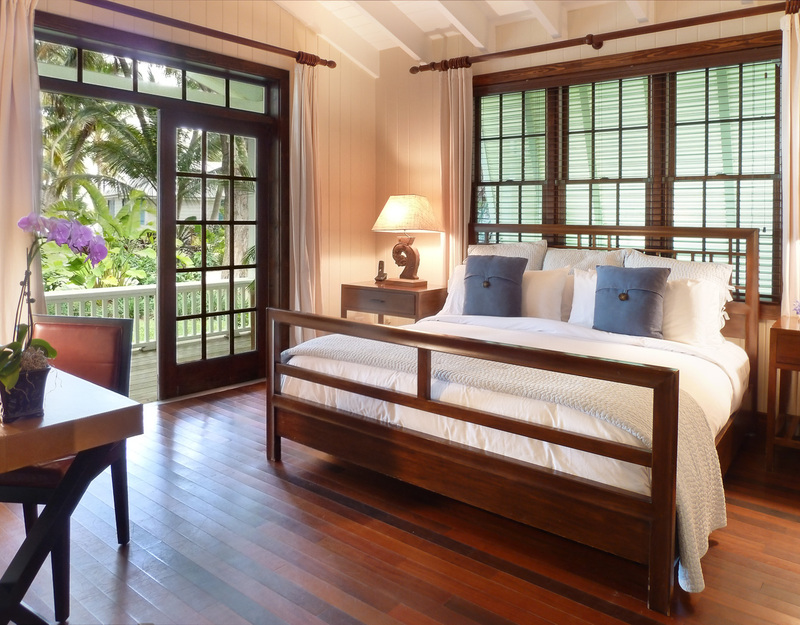 Offering exquisite views of the resort’s private beach, guests will find total tranquility relaxing on the plantation style porch. 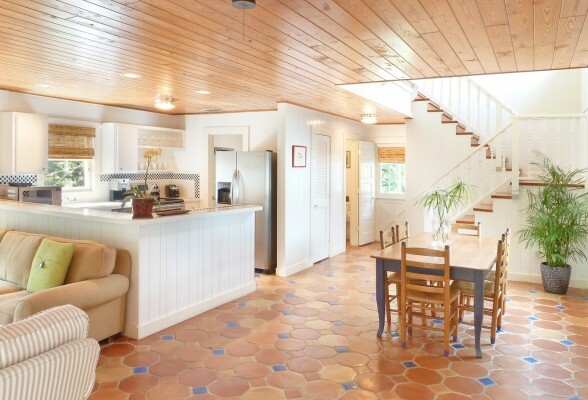 The Albright Villa sleeps up to six adults and boasts beautiful ash wood and Mexican tile flooring, a fully equipped kitchen, and large living area with TV and sofa. 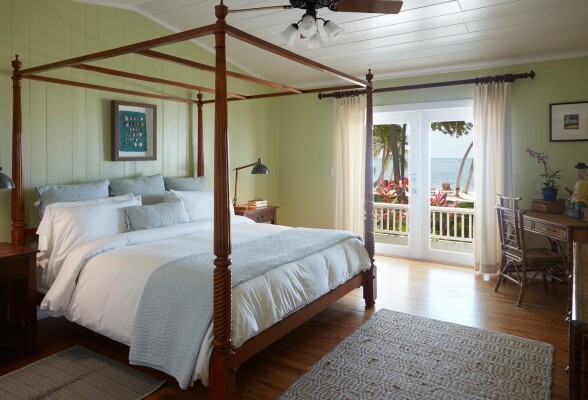 Boasting expansive views of the Atlantic Ocean and private beach, the Mango Villa provides the ultimate space to relax and sleeps up to six adults. 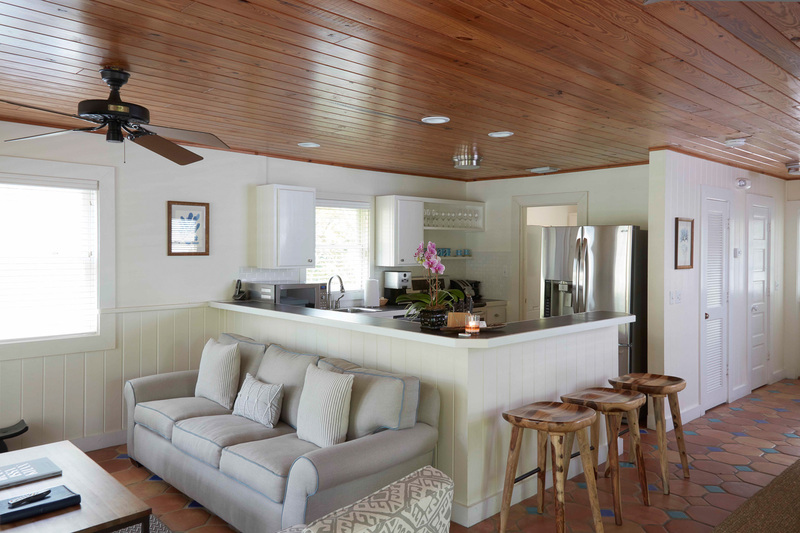 Guests are greeted by beautiful oak and Mexican tile flooring, a fully equipped kitchen, and large living area with sofa. 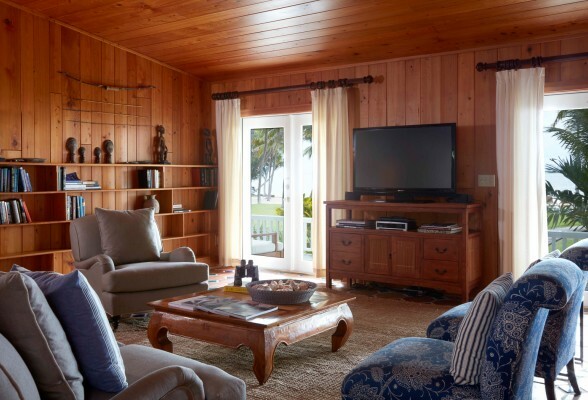 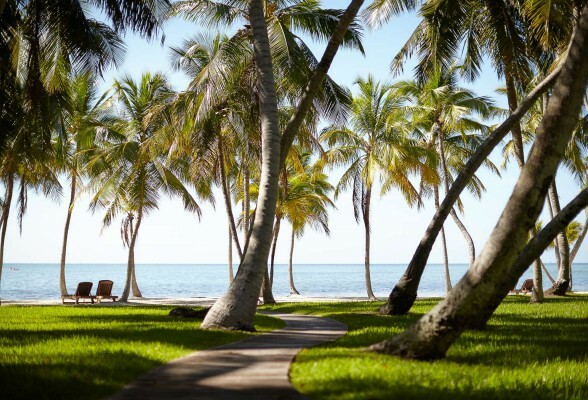 Boasting expansive views of the Atlantic ocean and private beach, Plantation Villa is perfect for larger groups or families visiting our Florida Keys luxury resort. 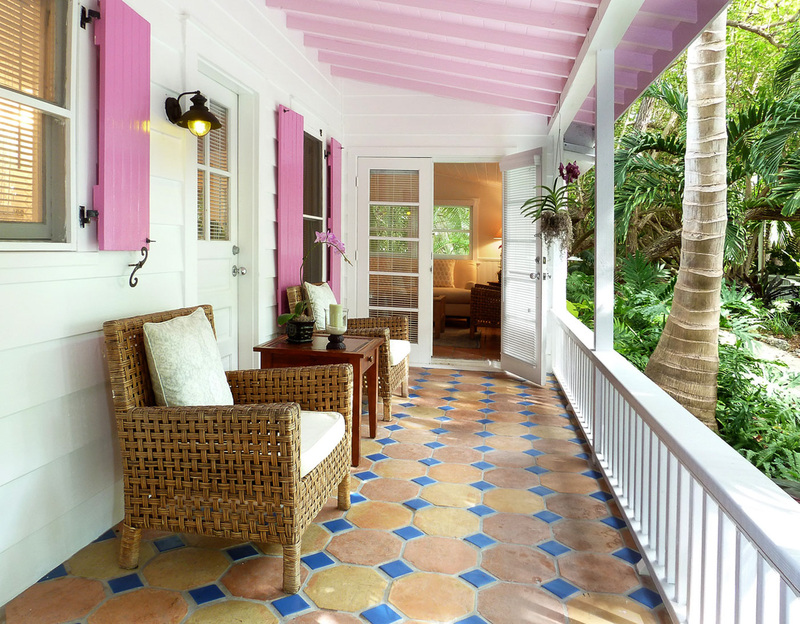 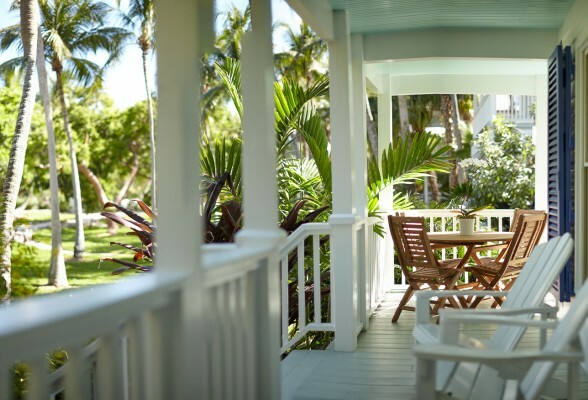 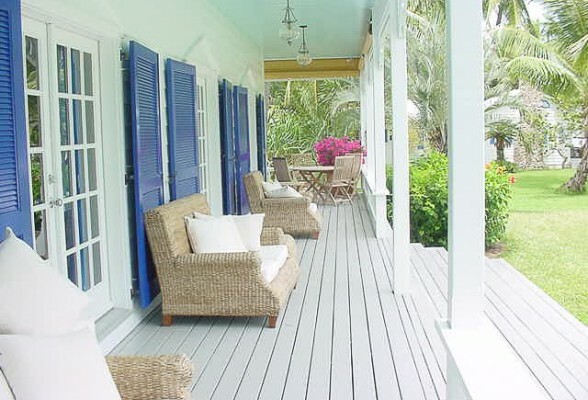 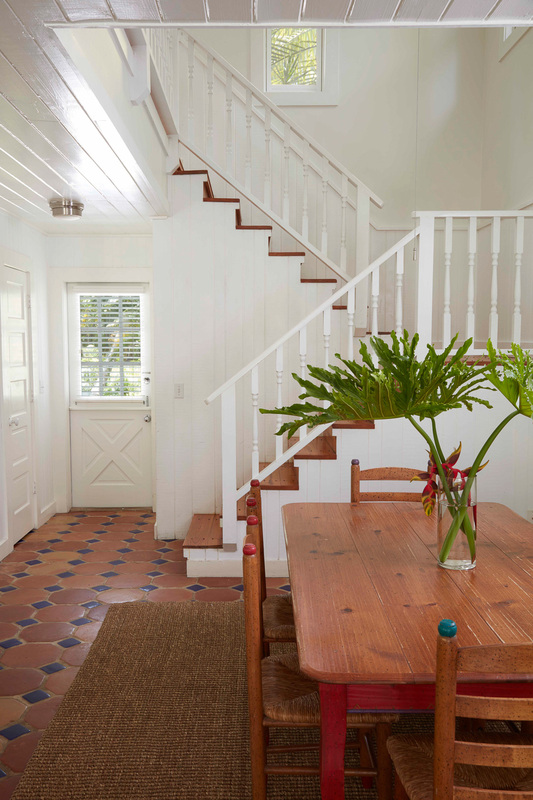 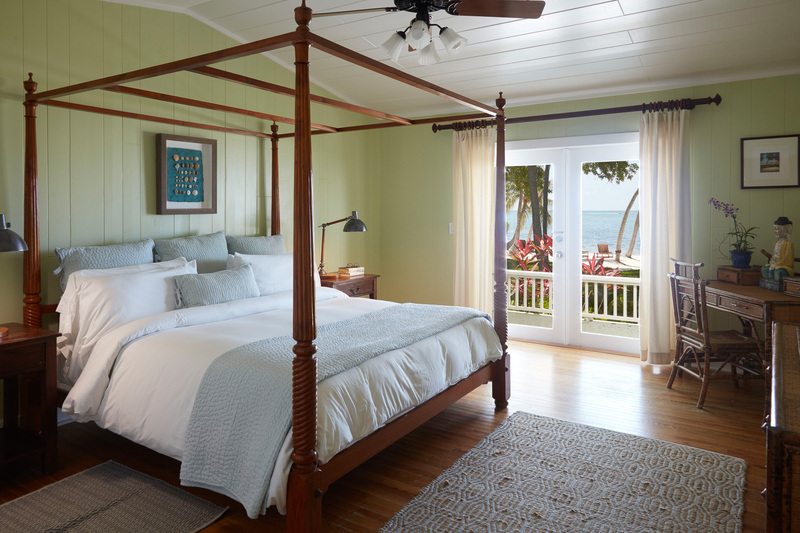 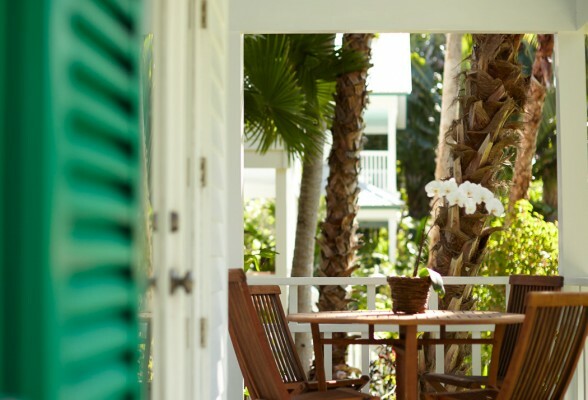 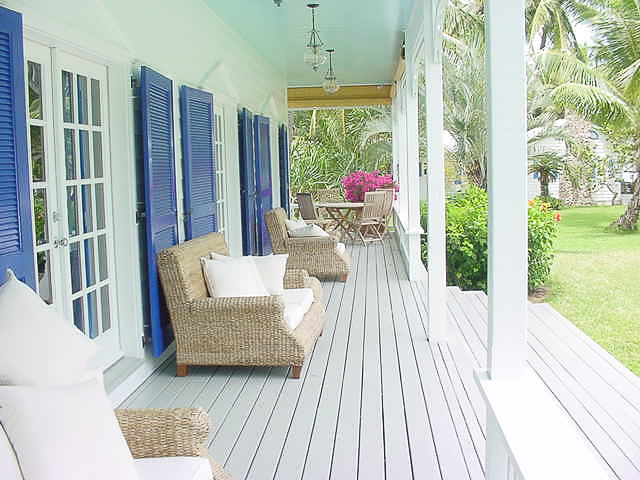 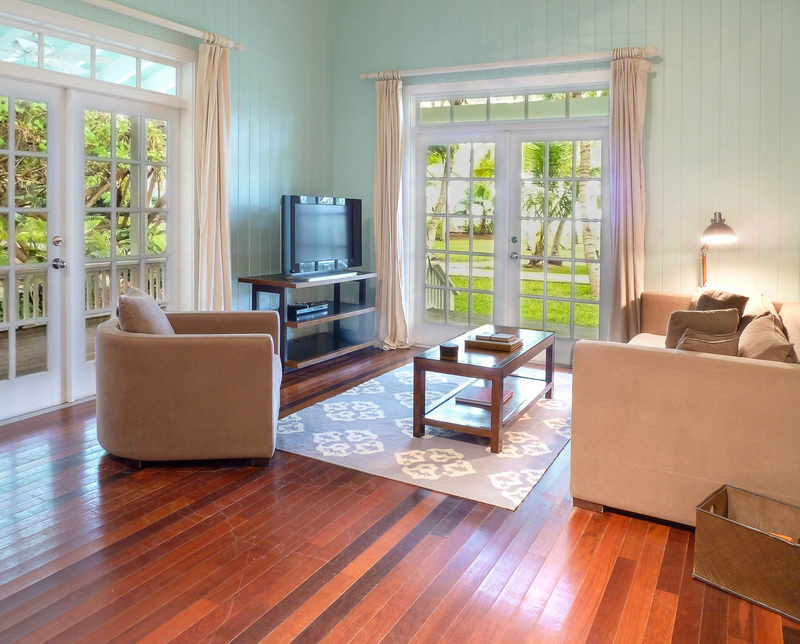 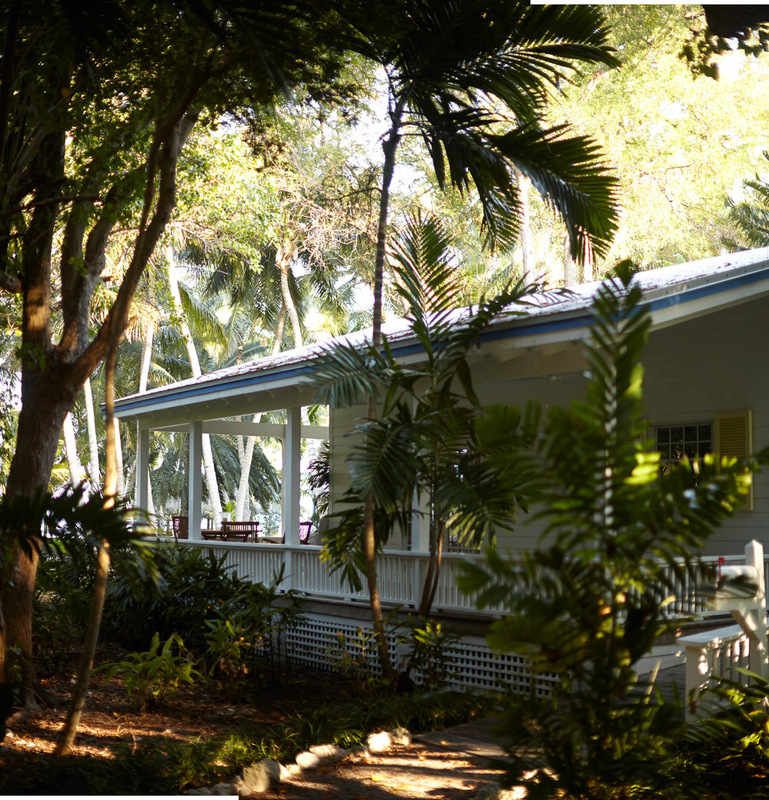 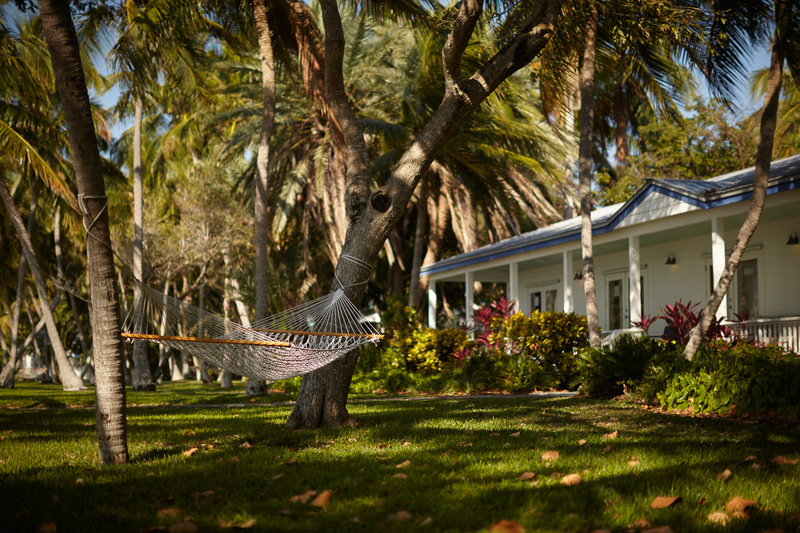 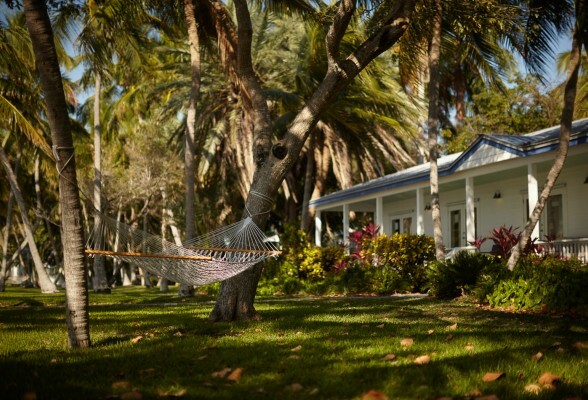 The fully furnished plantation style porch is just steps from the sand, and the villa offers an abundance of amenities. 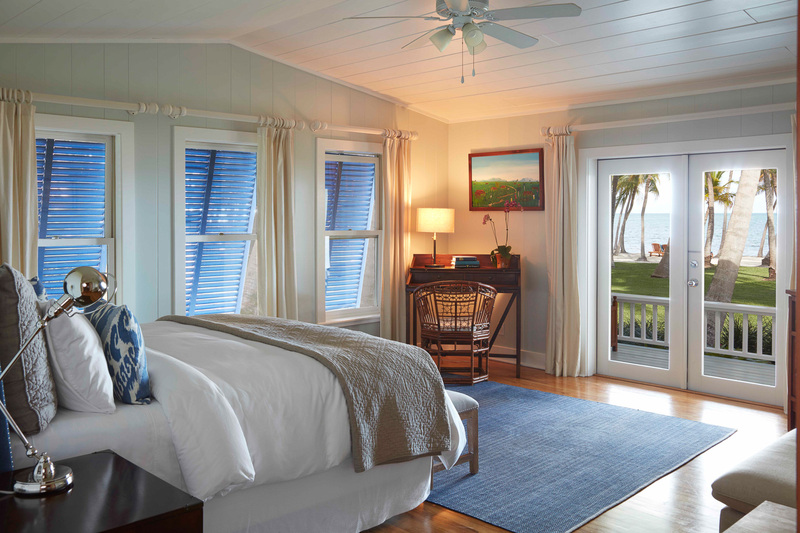 Magnificent ocean views are easy to come by with Blue Charlotte’s oversized windows and French doors. Upon entering this spectacular two-story home, guests are greeted by luxurious living spaces, refined furnishings, and elegant décor. 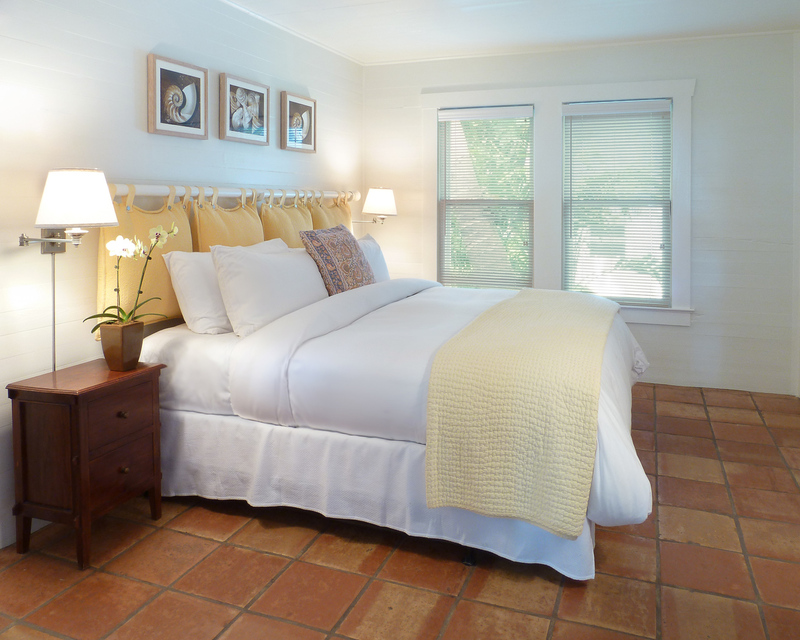 The first floor is comprised of a bedroom with two twin beds, a stately office, living area and large kitchen. 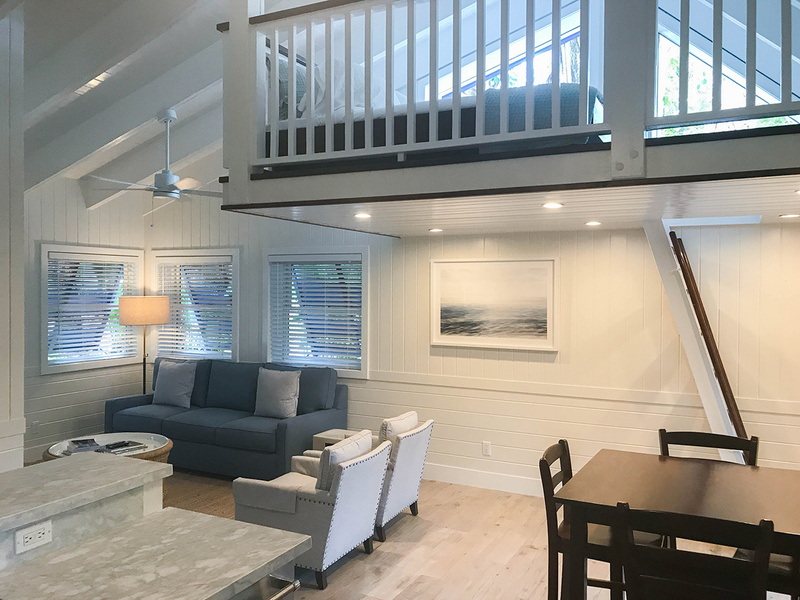 A beautiful oak spiral staircase leads to the second floor, which features two bedrooms with king size beds, joined by a second living area.